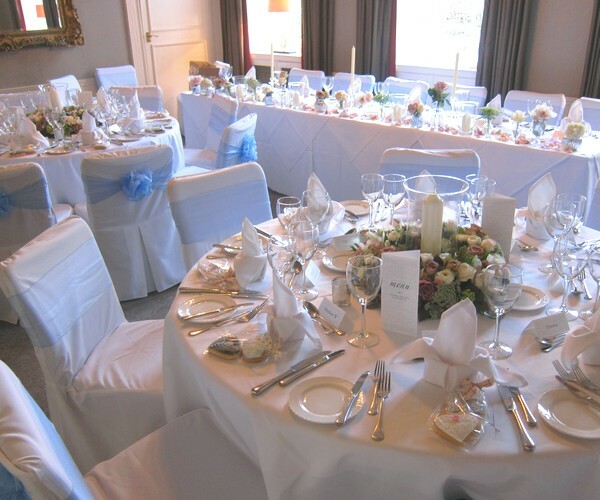 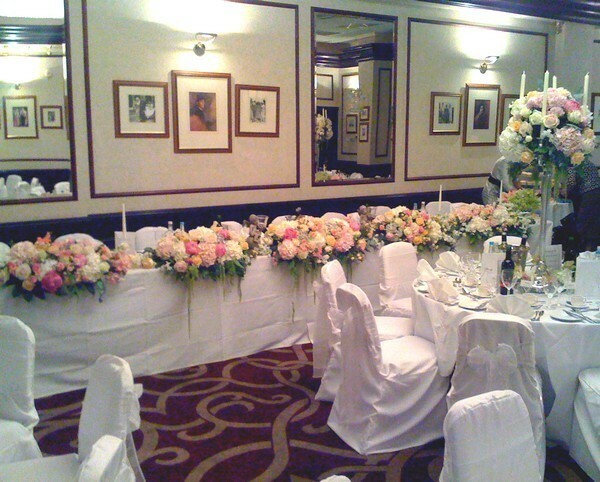 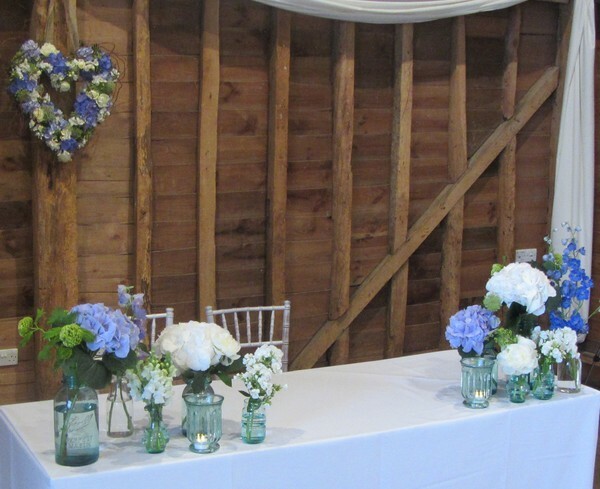 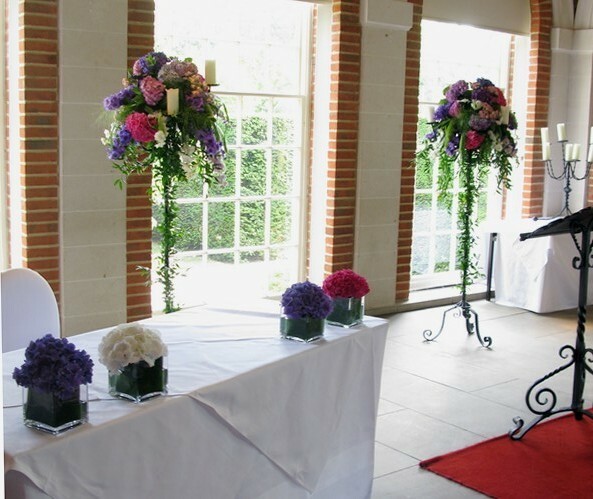 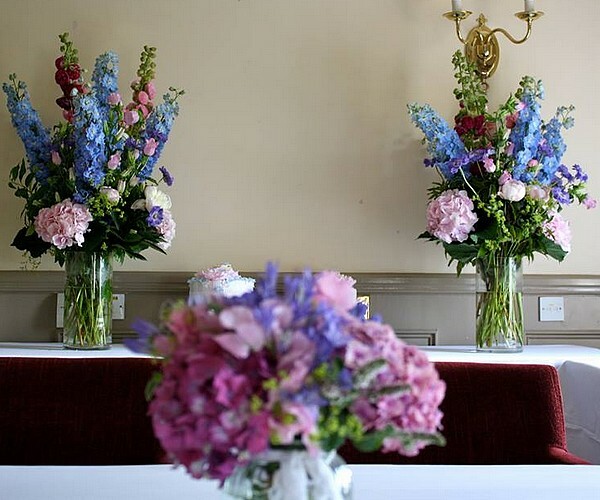 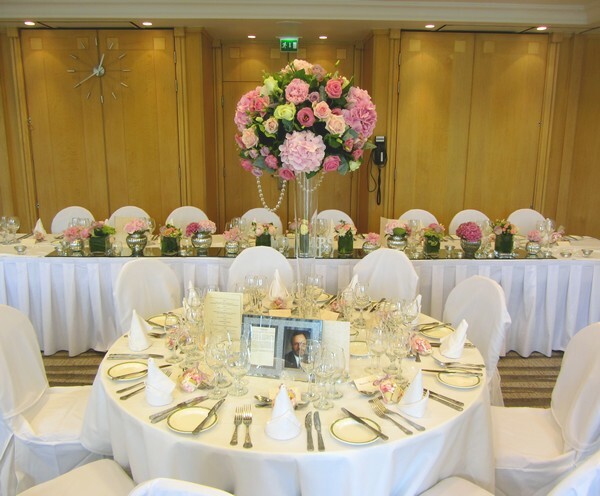 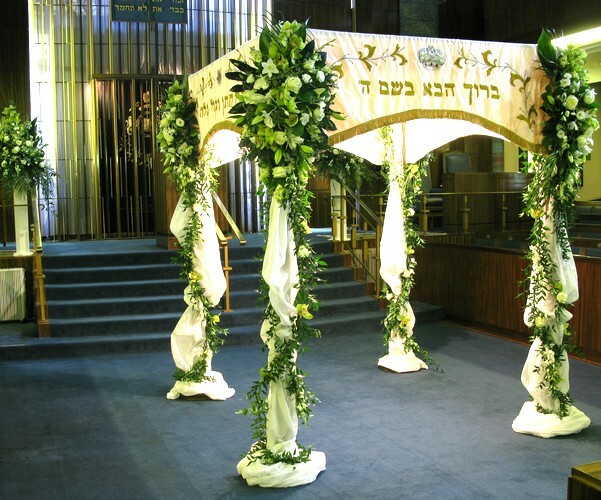 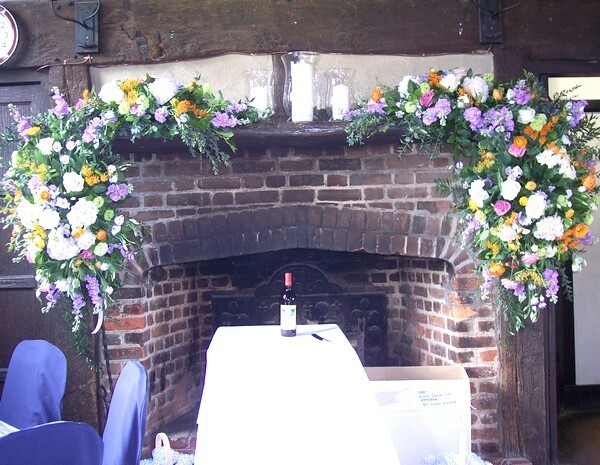 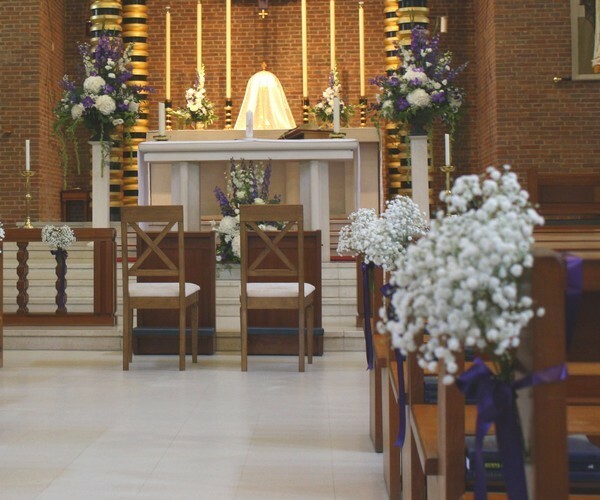 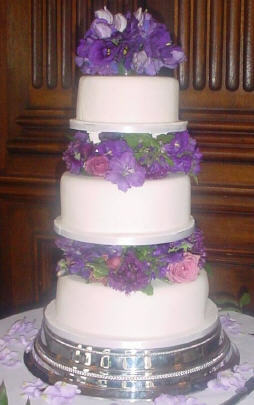 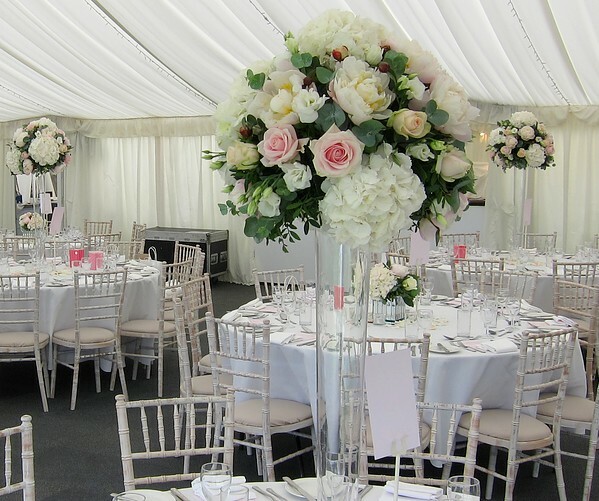 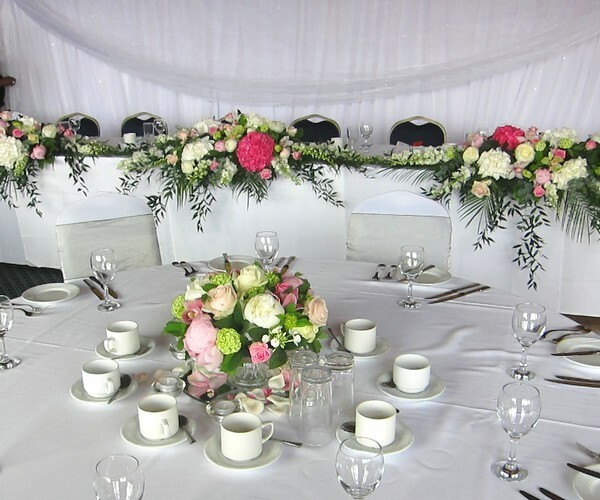 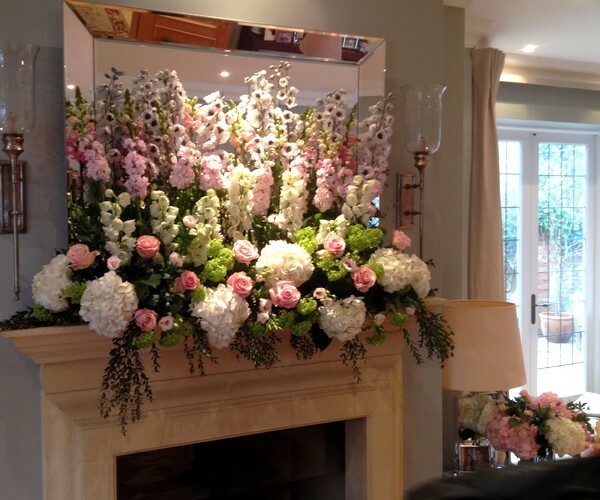 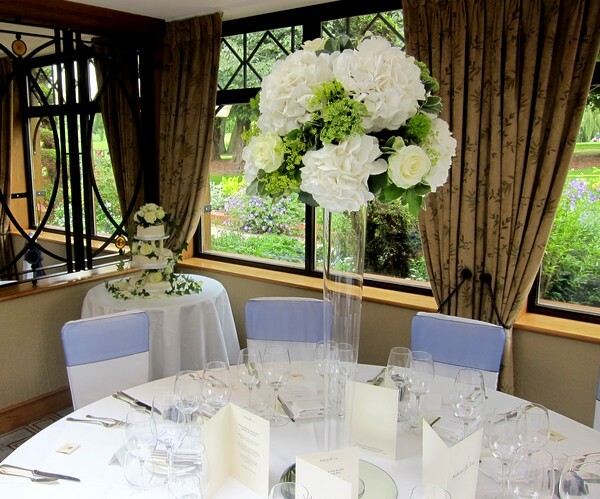 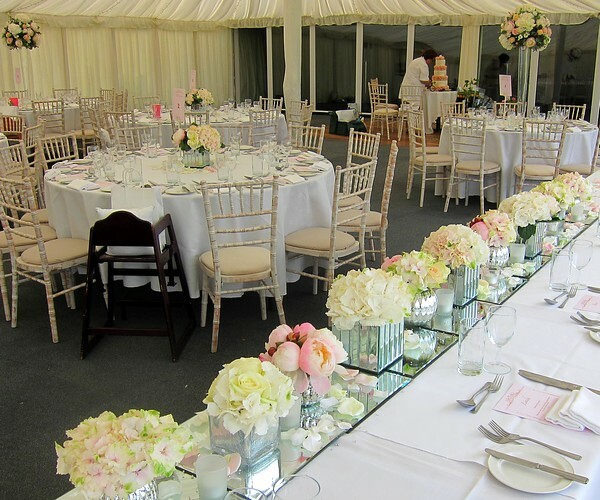 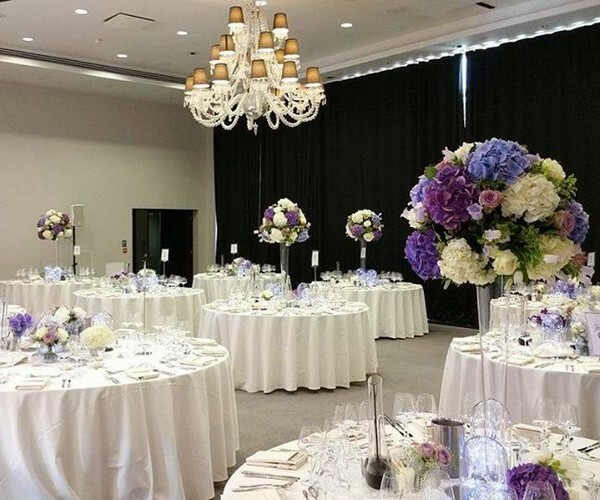 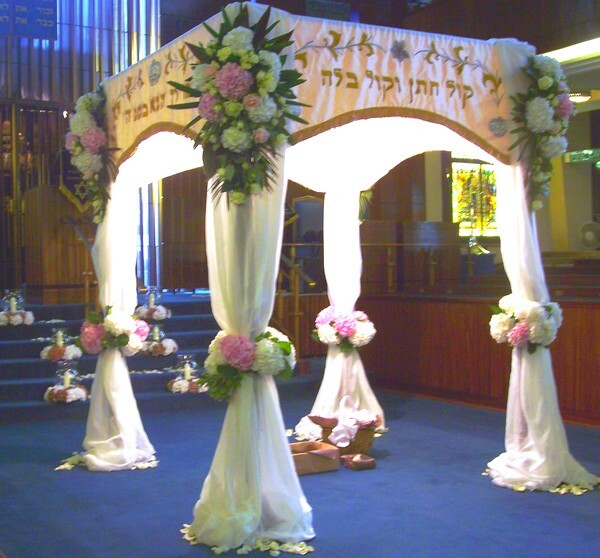 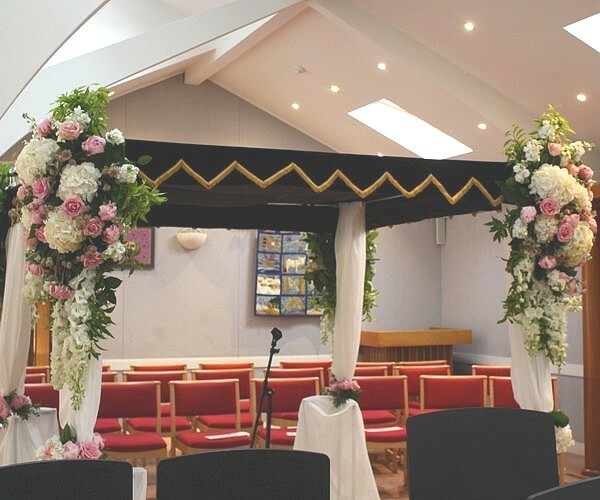 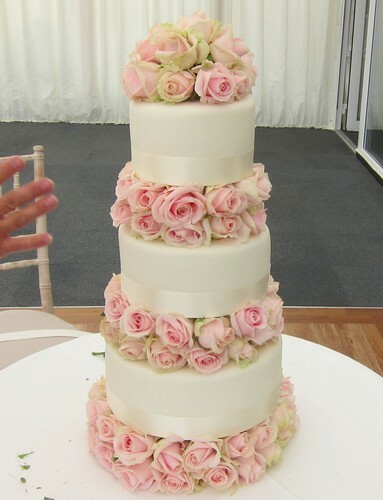 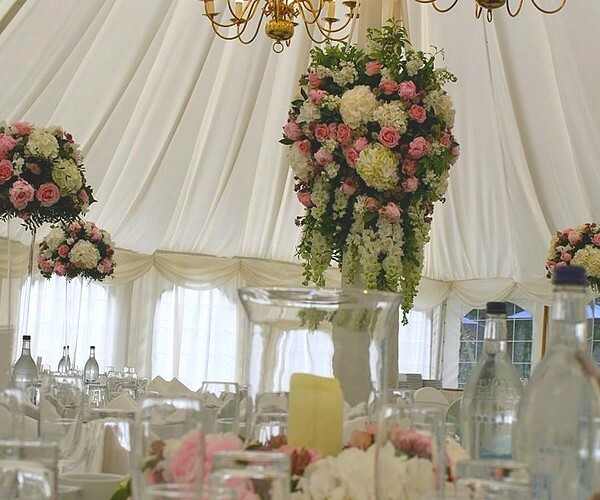 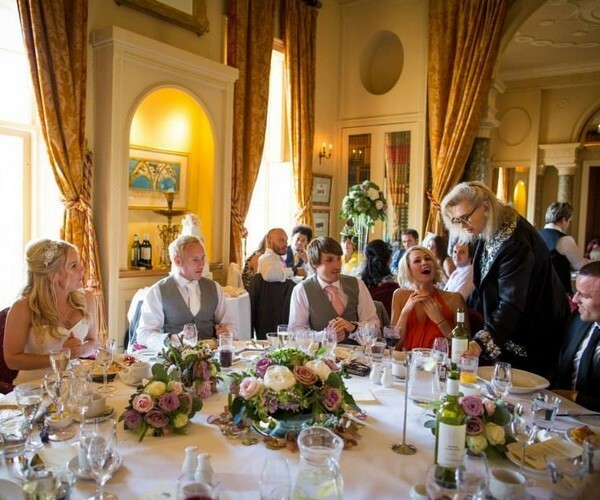 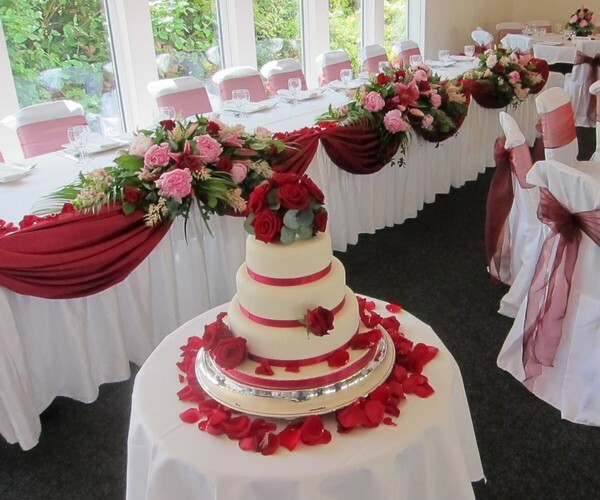 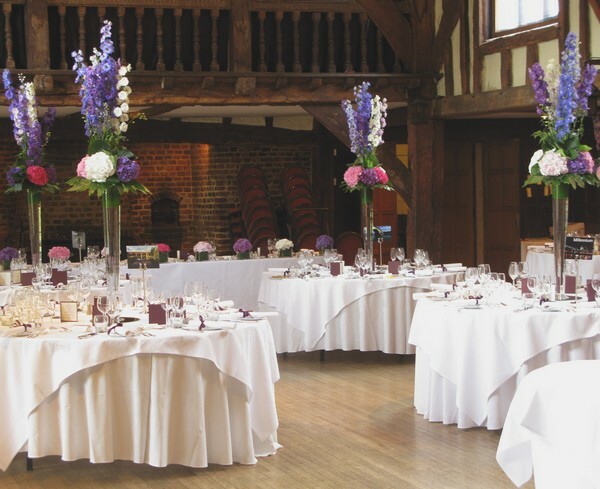 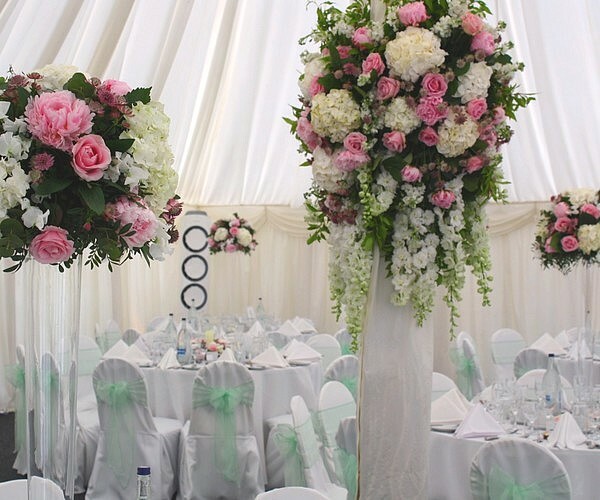 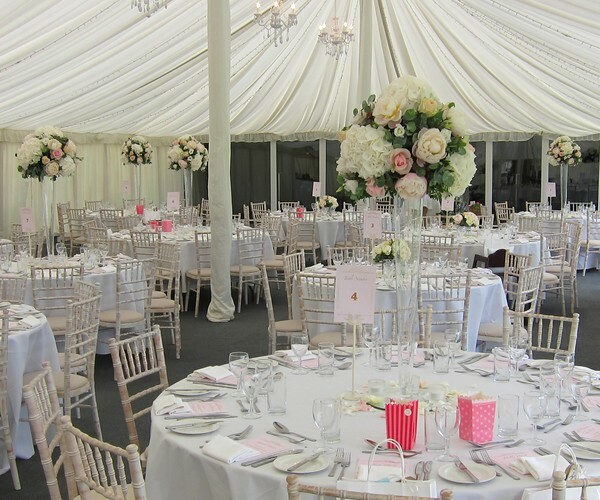 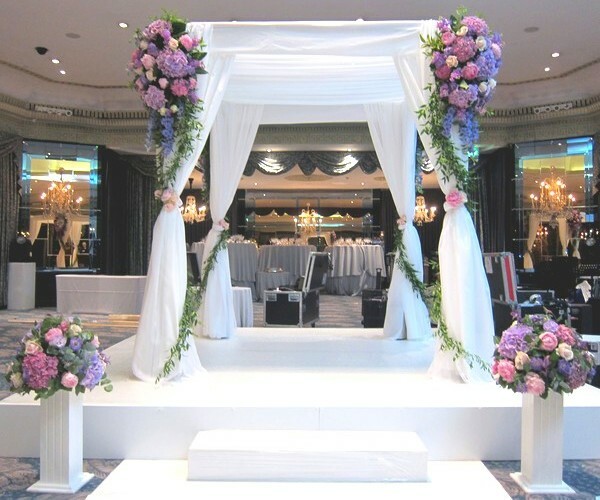 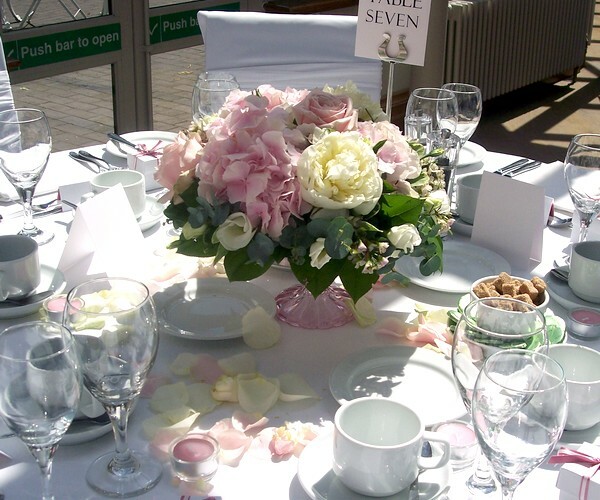 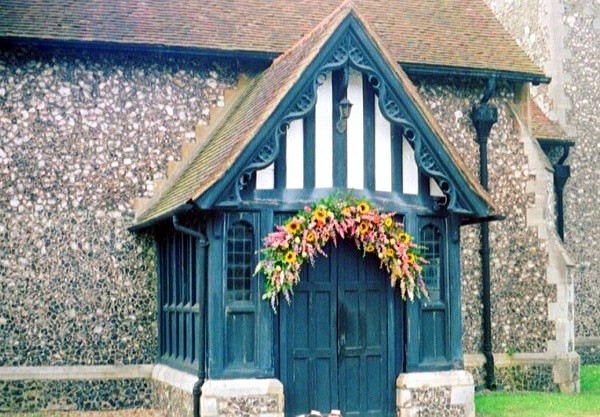 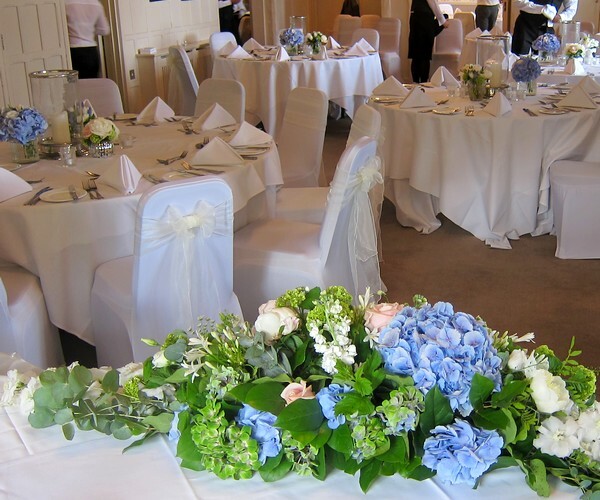 The Flower Shop, Bushey - Weddings, Ceremonies & Reception Flowers - London, Hertfordshire & The South East. 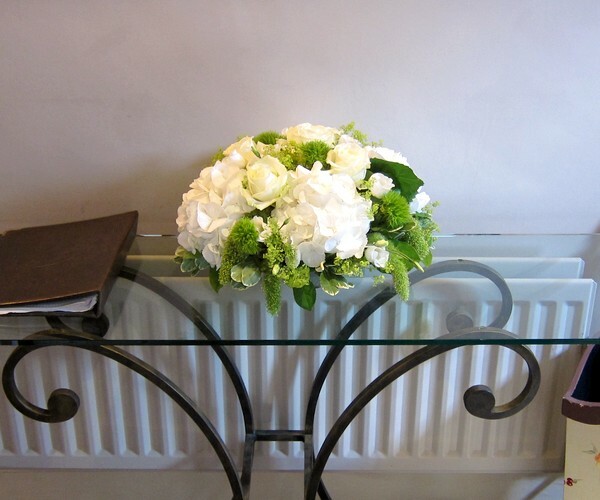 If it wasn't for the recommendations from happy and satisfied clients our sleepy village location and pretty shop might belie the amount of work going on behind the scenes. 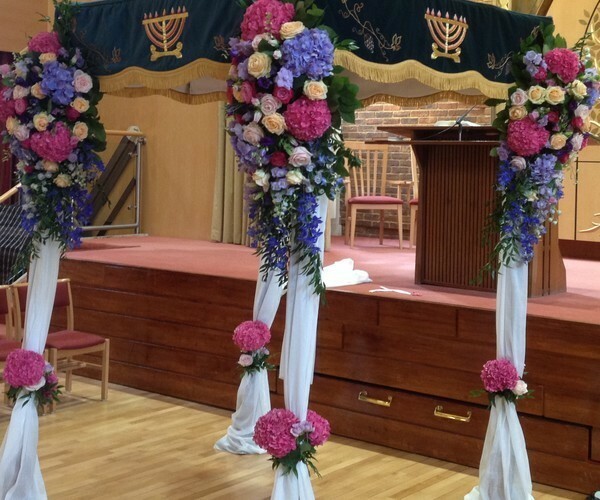 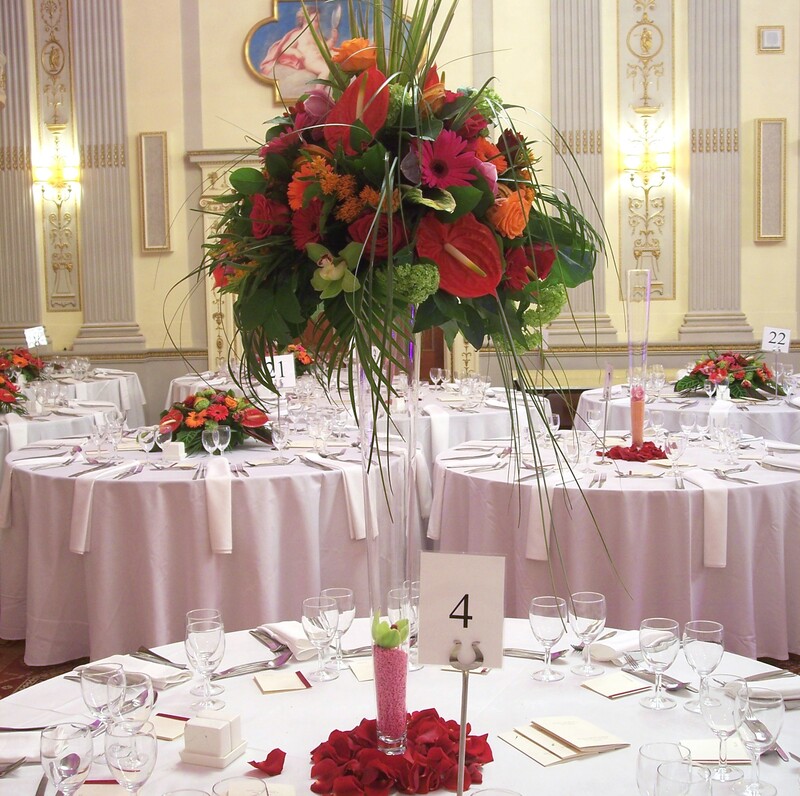 As expected we provide the flowers for many local events. 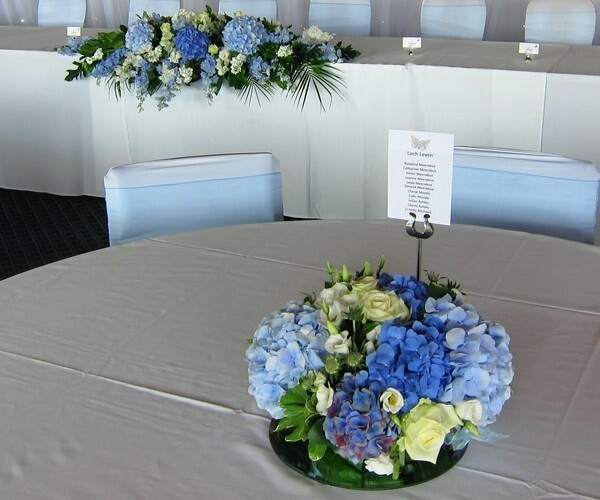 Table centers for parties at home, a small celebration at the local golf club and many other similar types of occasion. 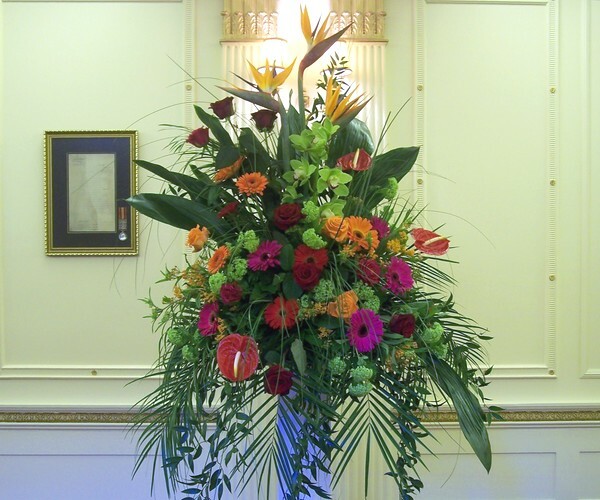 What may not be realised is the number of events we provide the flowers for in London's West End and across Herts, Beds and Bucks. 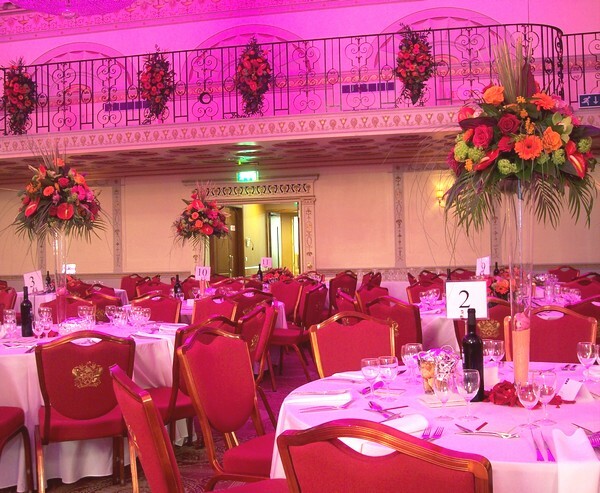 Some examples of our function work mention the names of the venues. 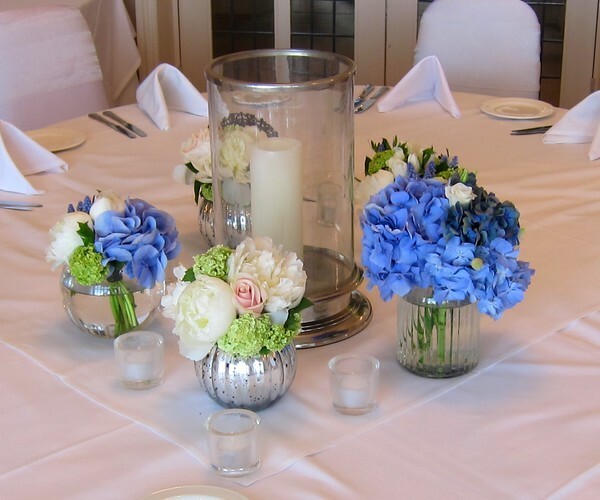 There is hardly a major venue in the Southeast that we haven't supplied party flowers for. 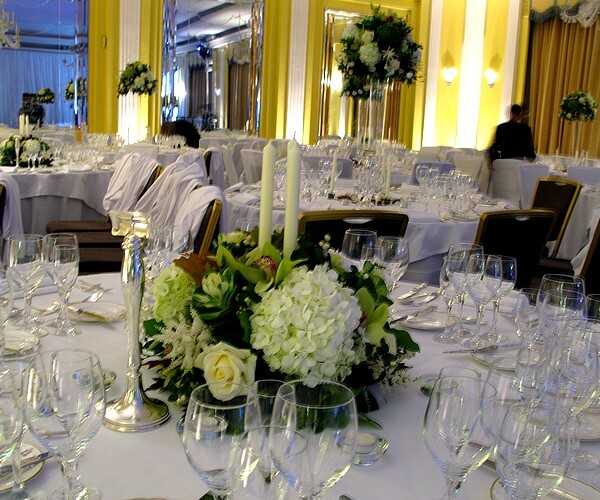 These include all the major West-End hotels, central London's many exclusive party venues and most of the most prestigious hotels in the country. 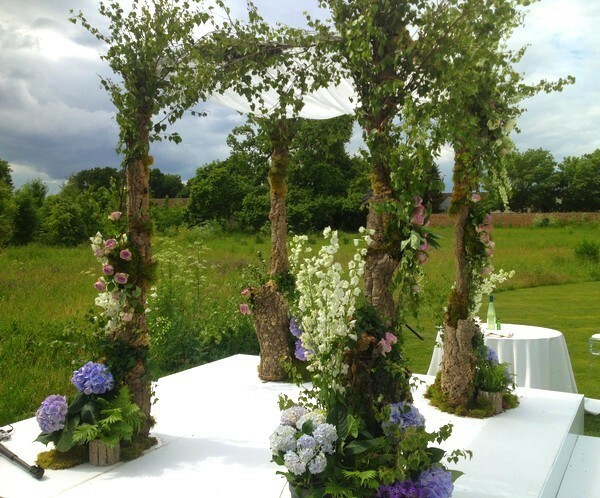 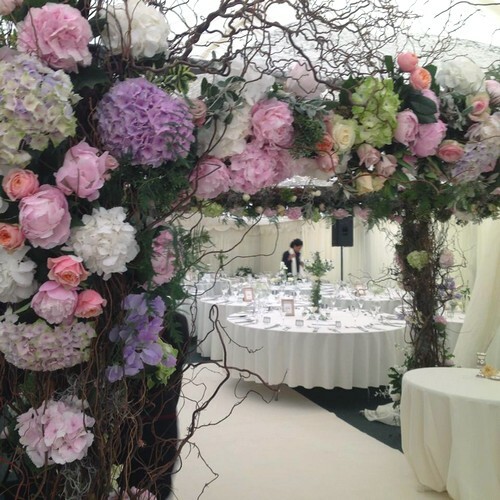 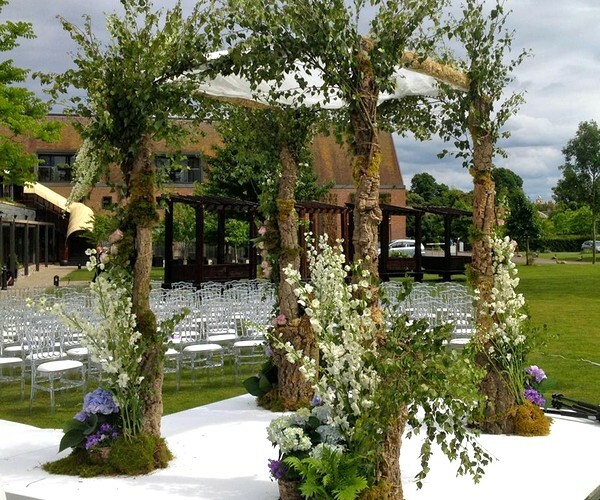 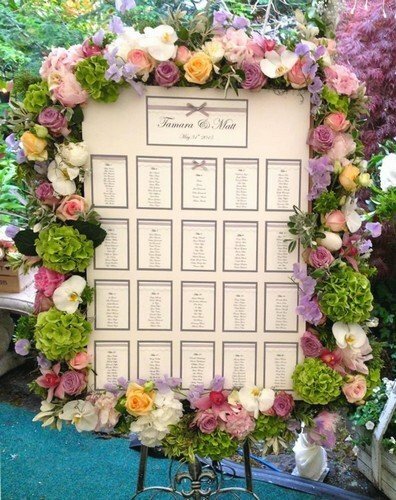 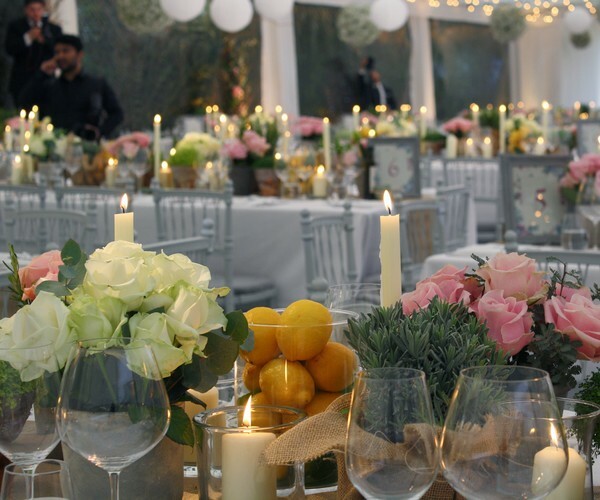 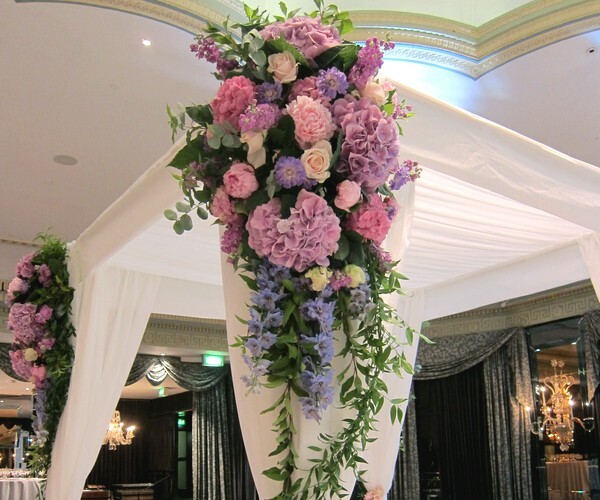 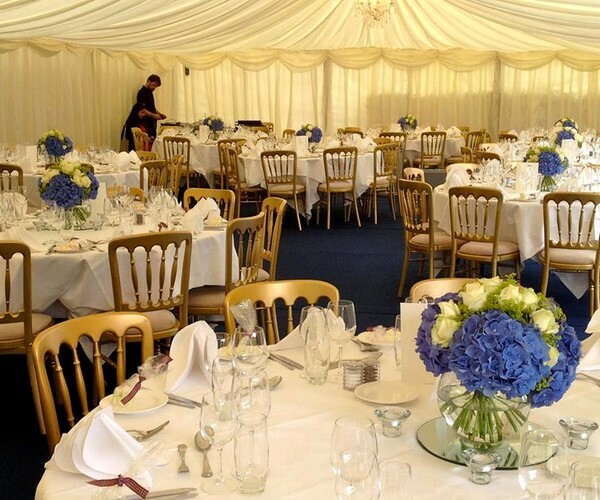 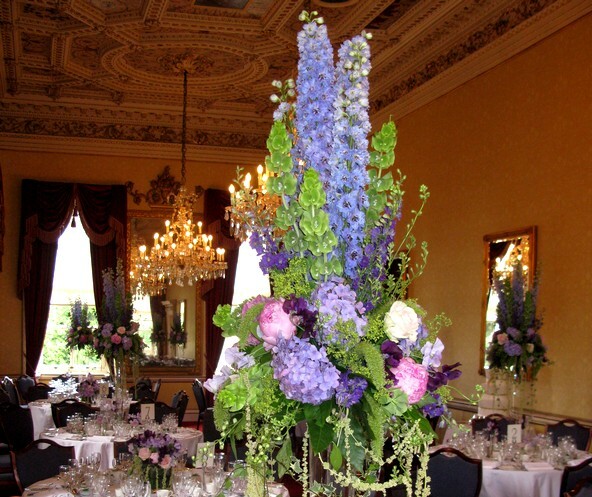 We have provided the 'flowers, plants and imagination' for corporate events such as the 236 flower arrangements required for the Chelsea Flower and Kew Garden shows, private but not necessarily small celebrations and flowers for film & TV work. 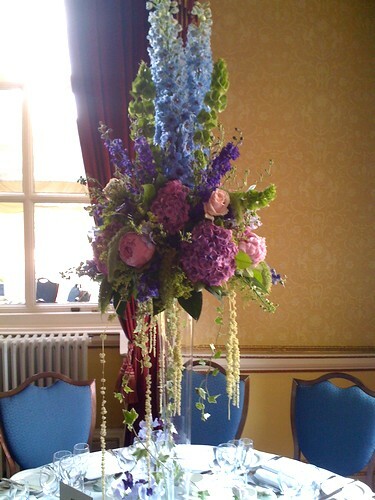 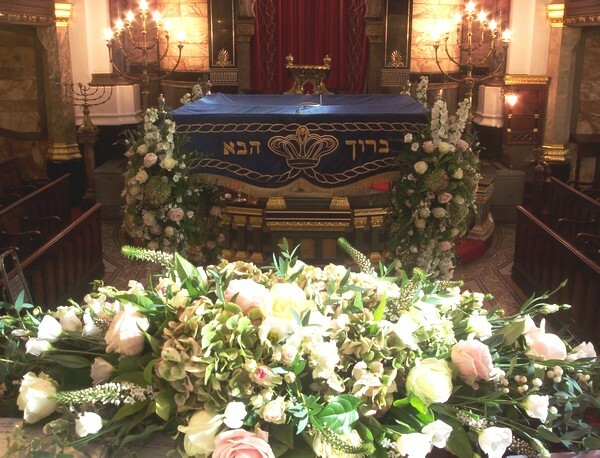 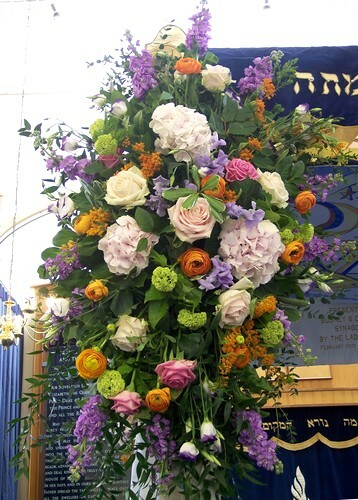 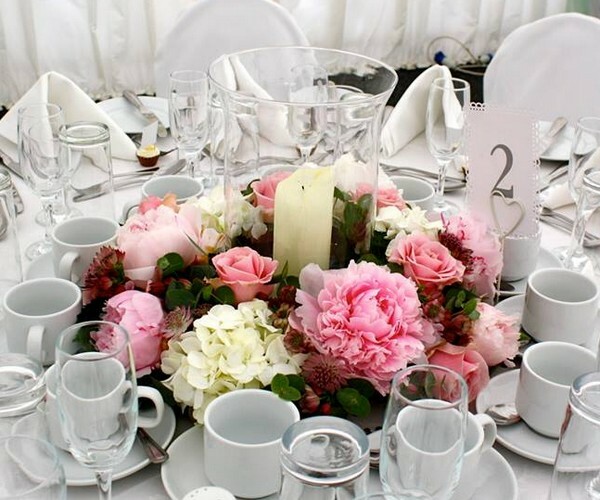 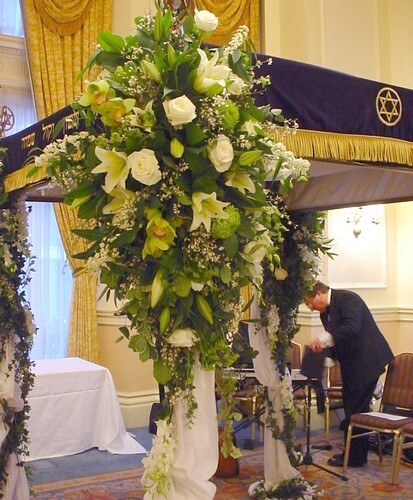 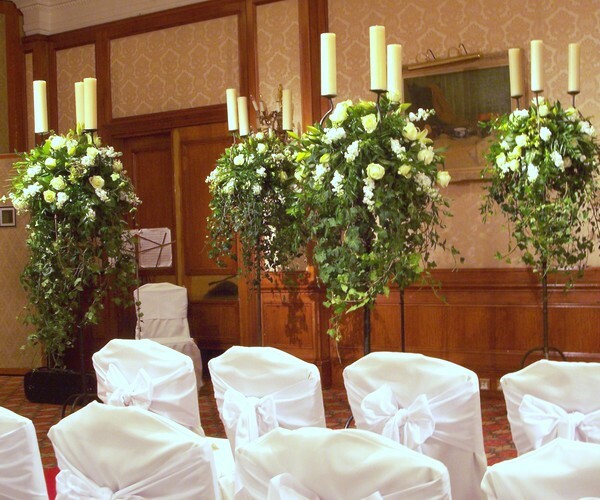 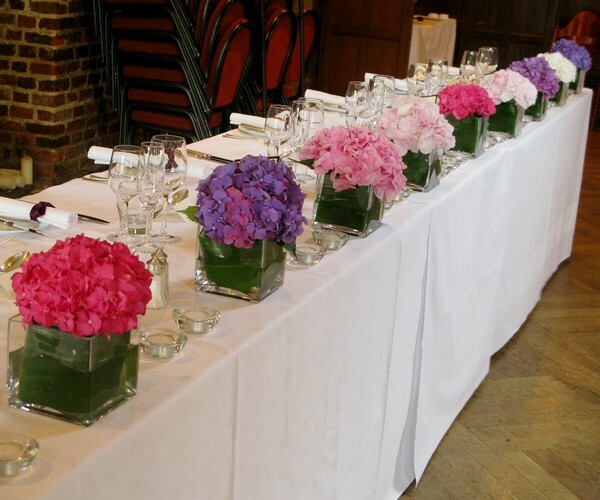 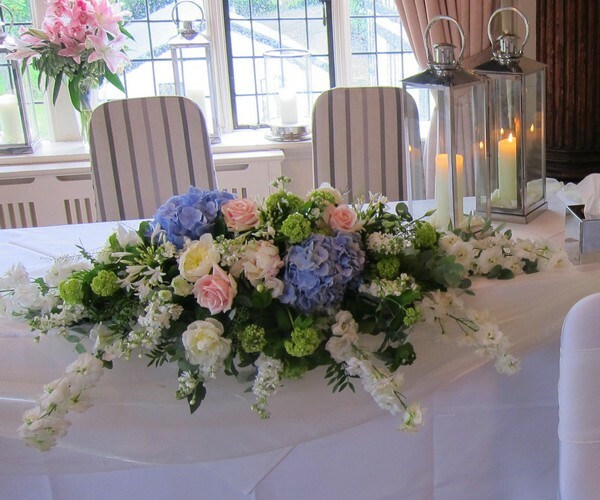 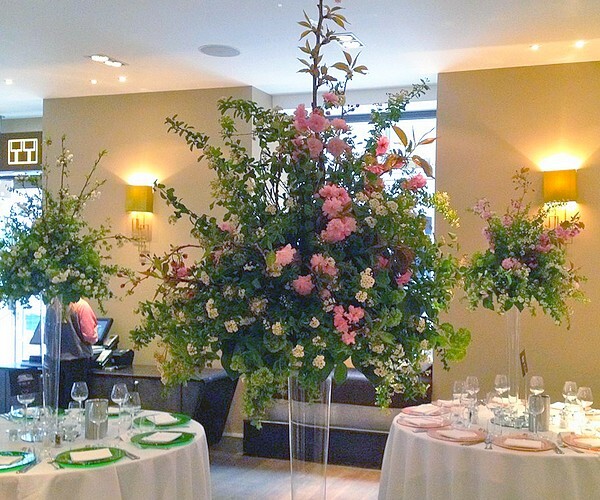 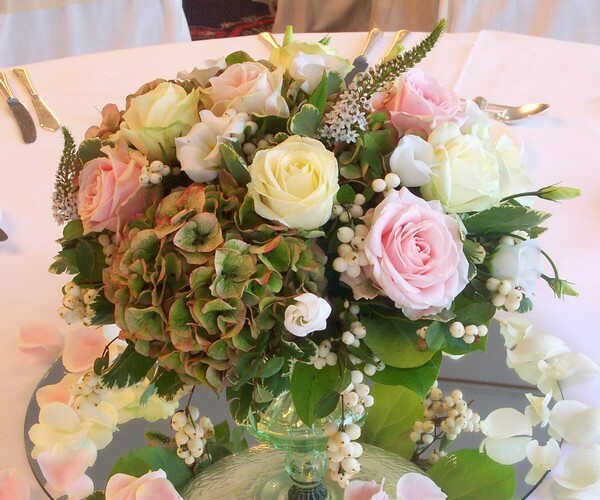 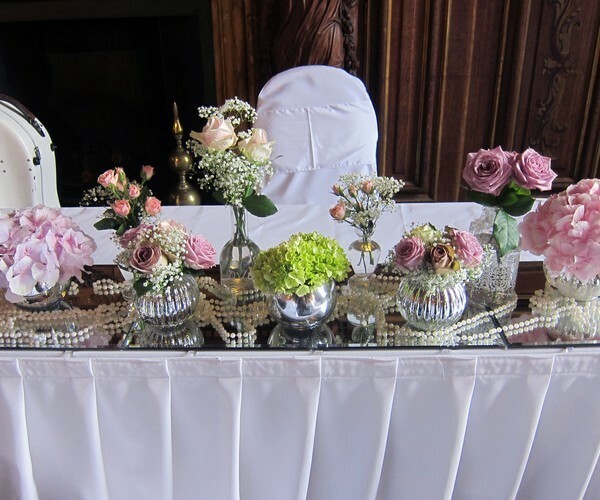 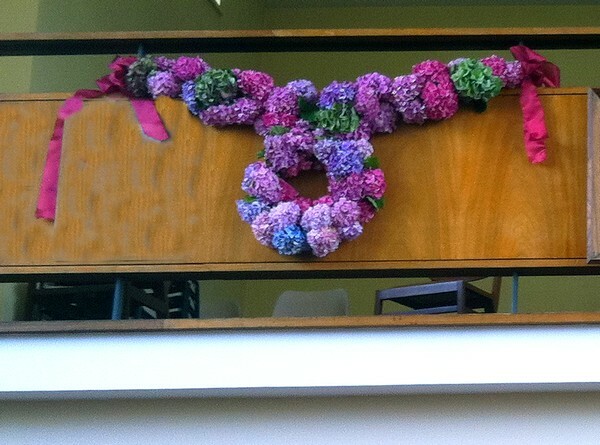 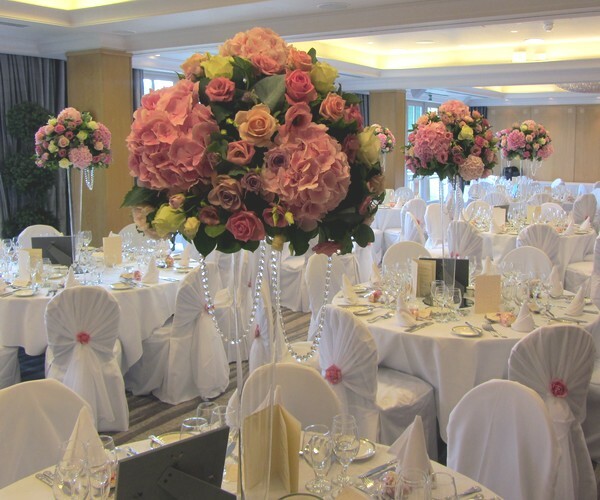 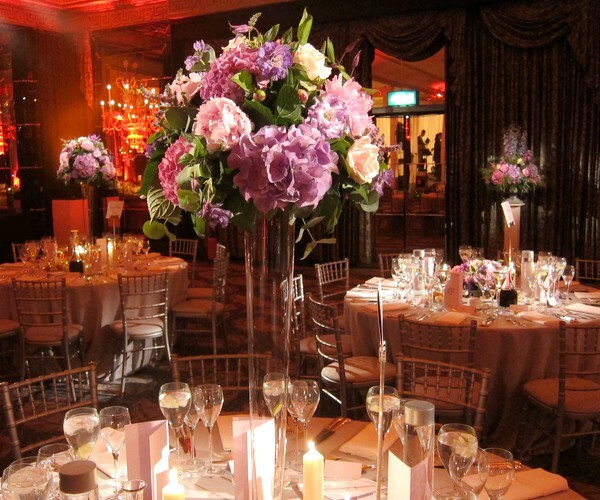 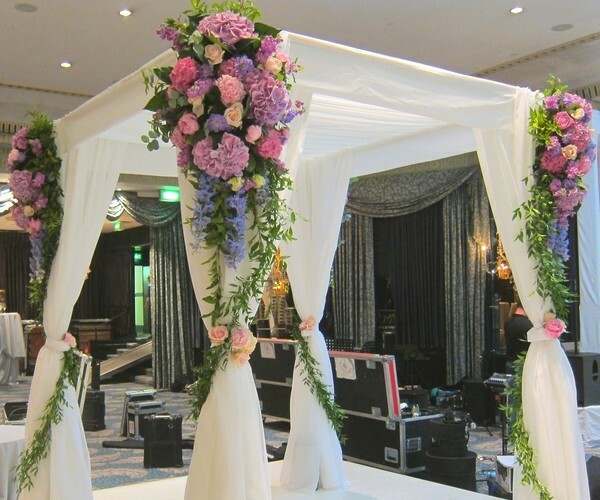 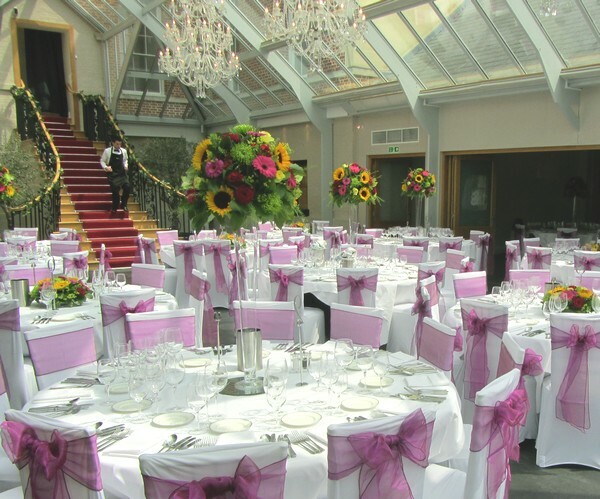 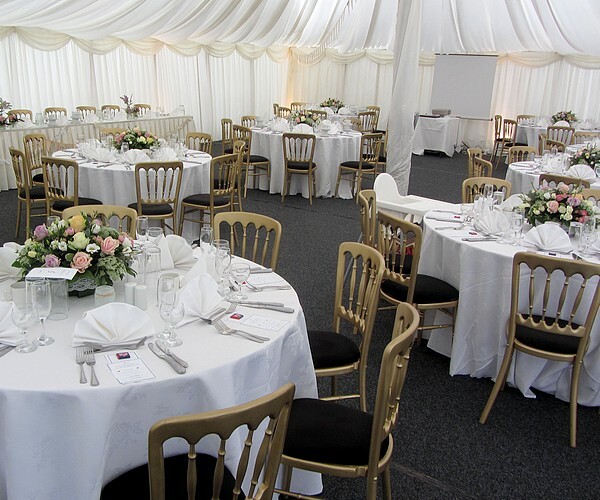 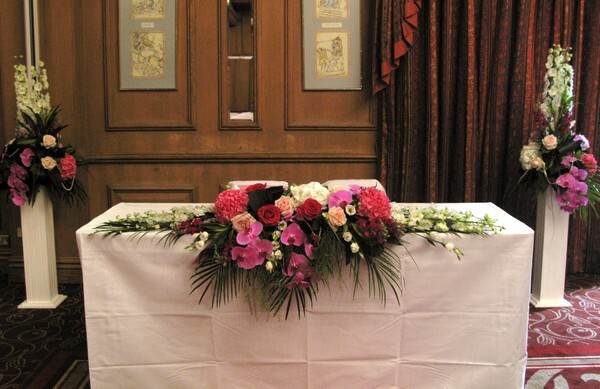 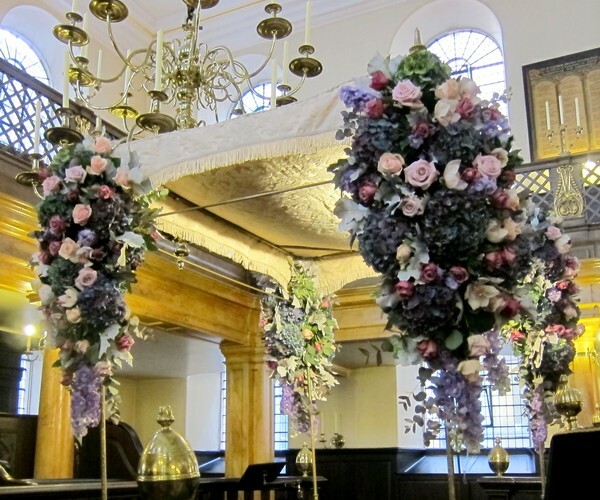 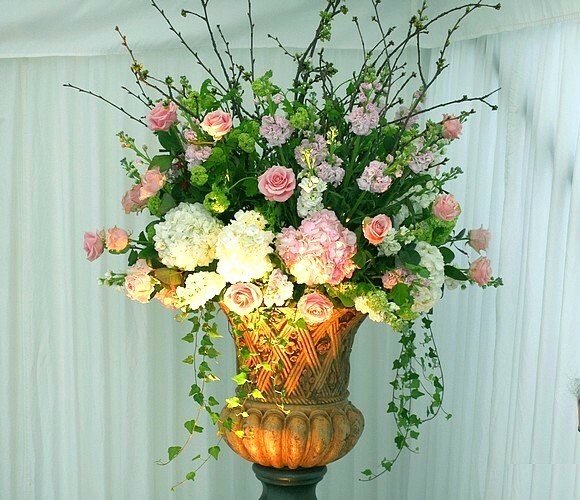 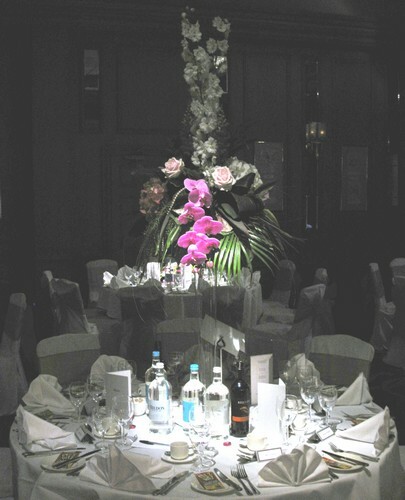 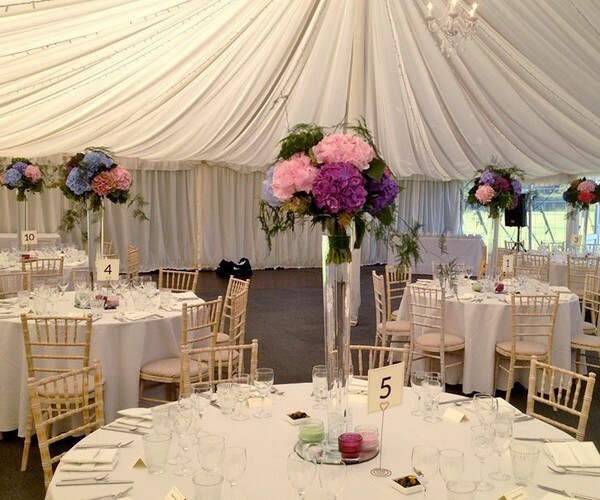 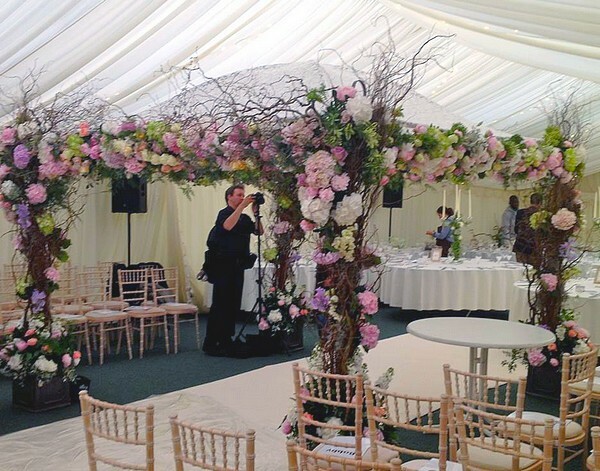 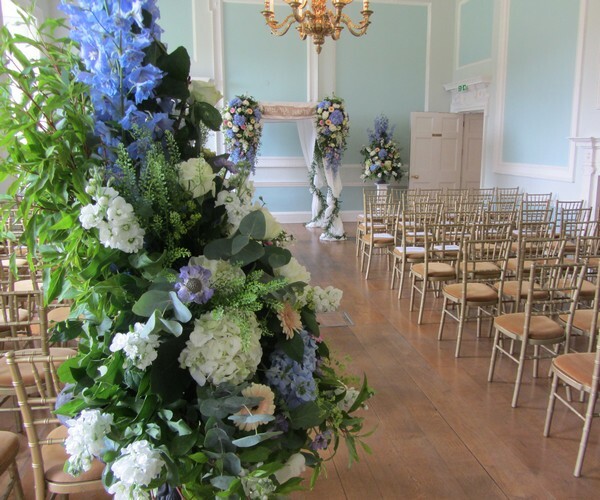 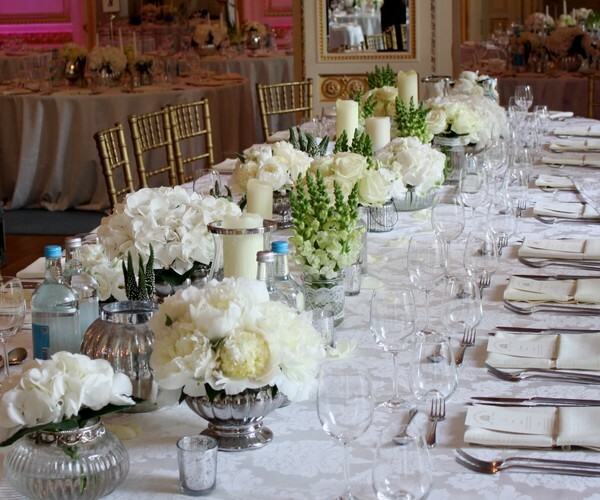 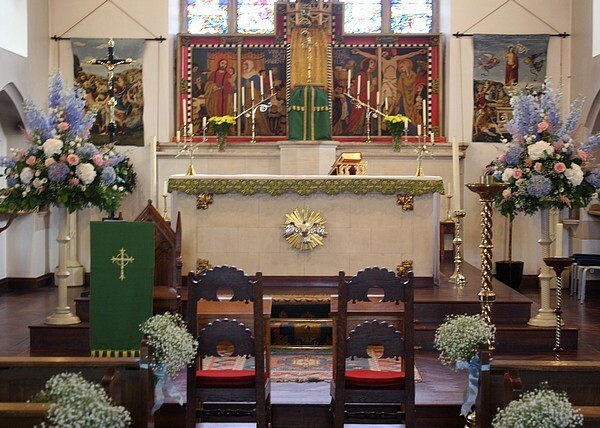 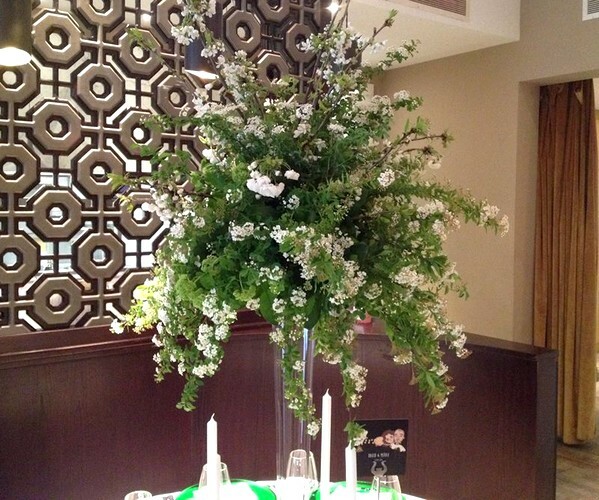 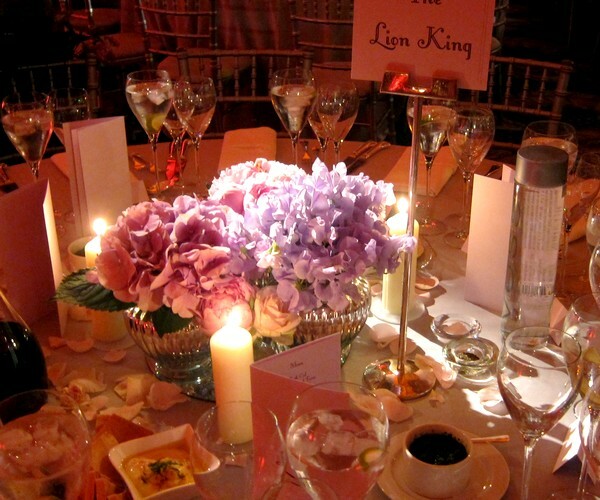 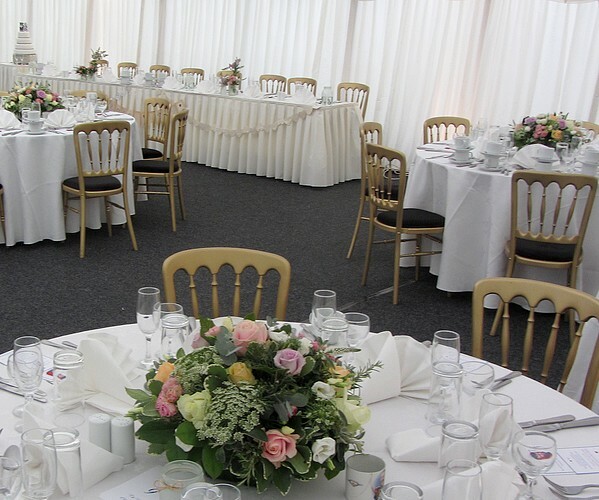 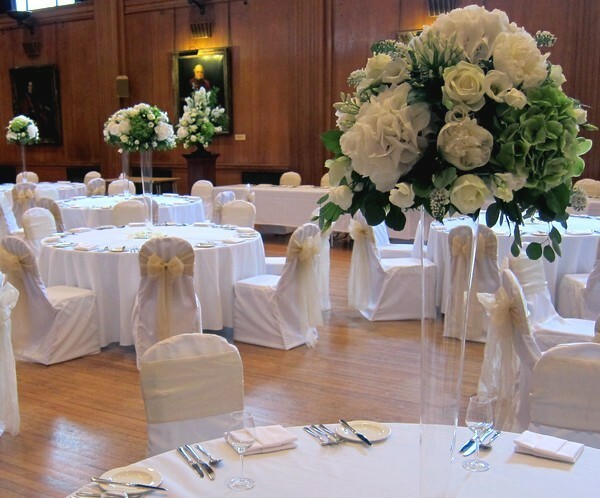 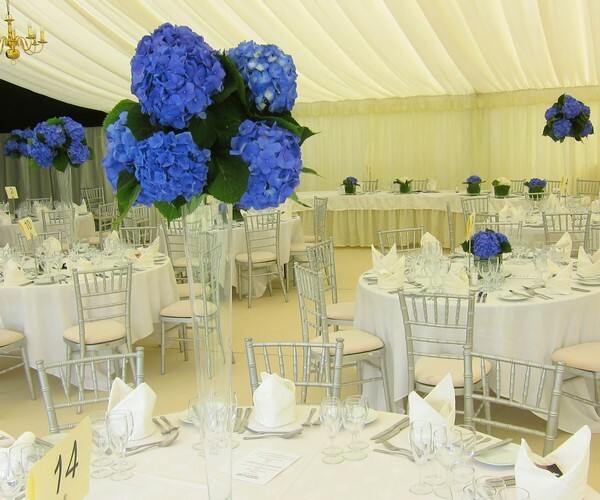 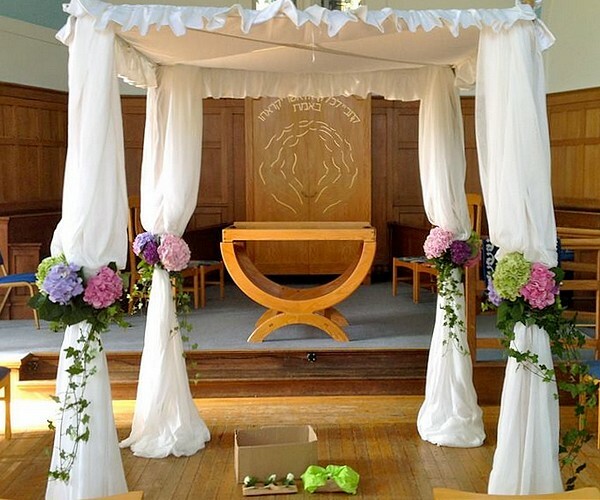 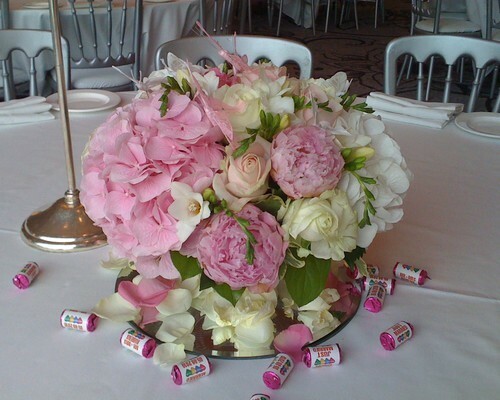 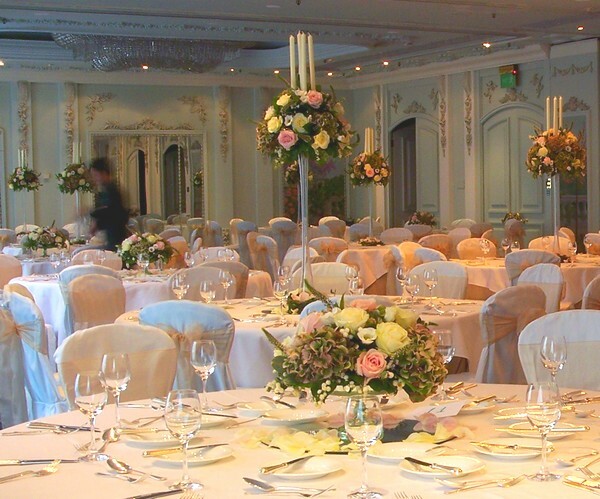 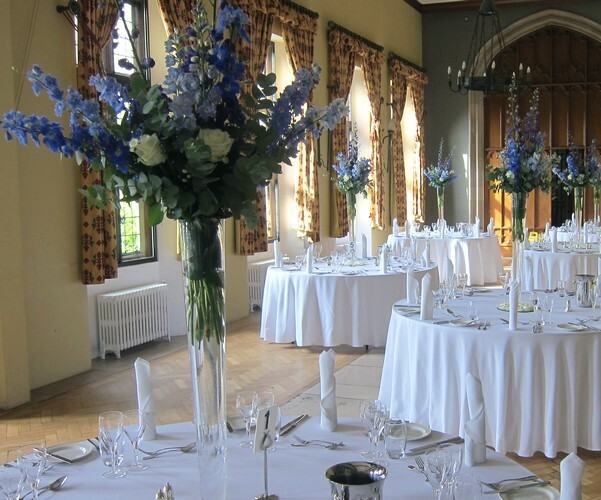 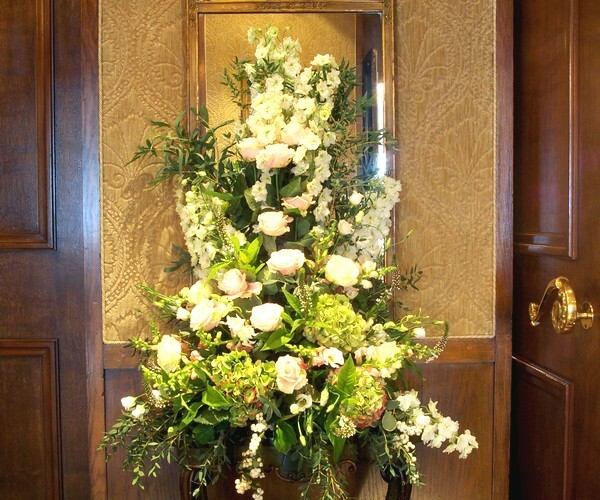 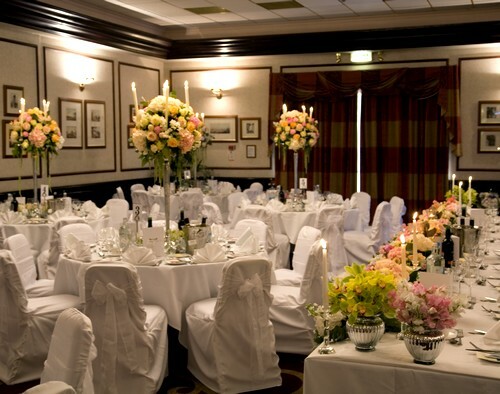 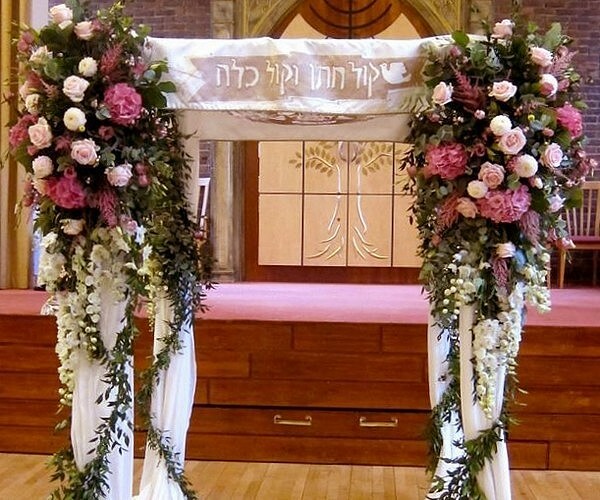 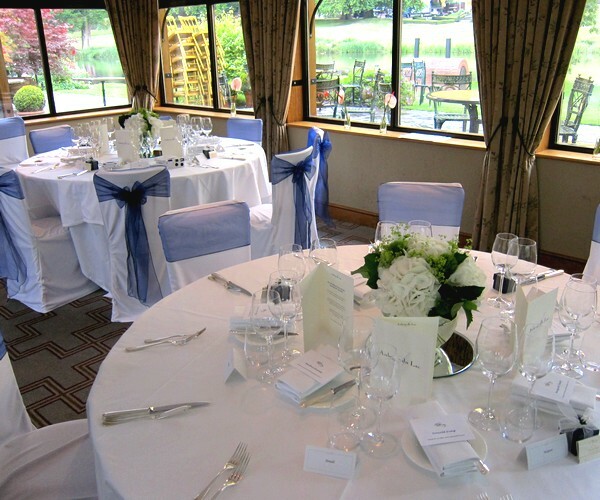 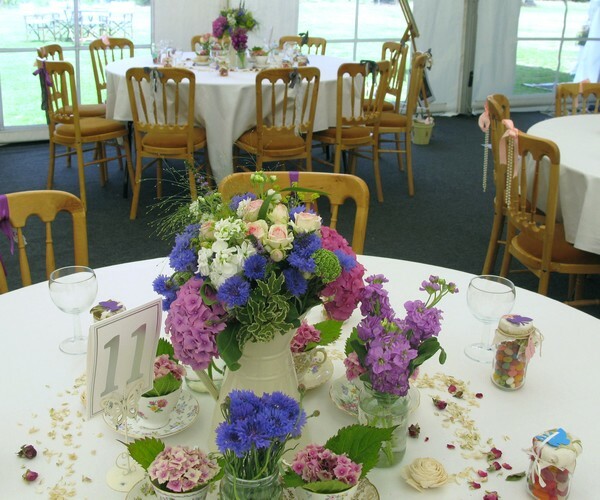 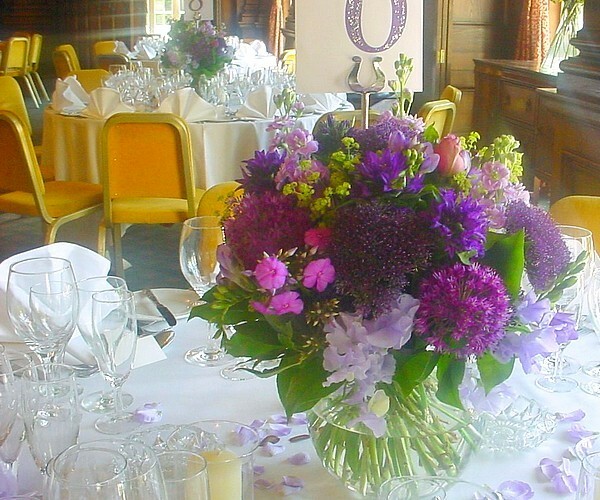 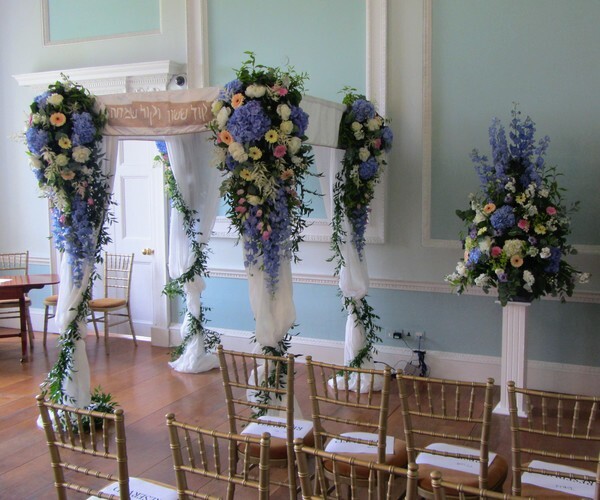 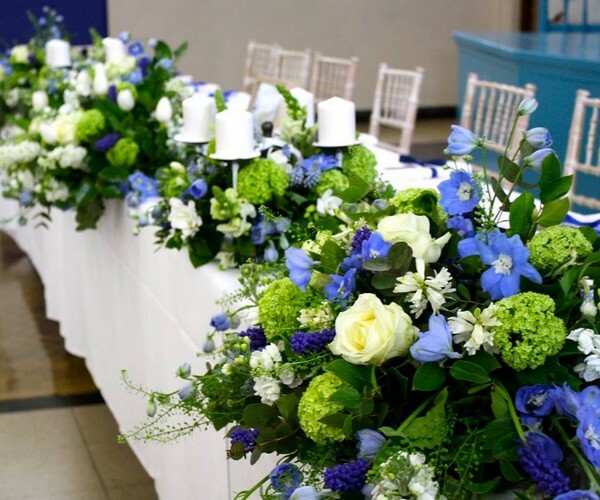 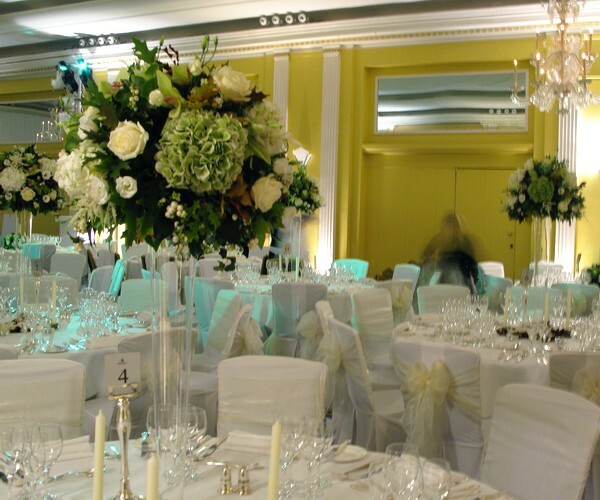 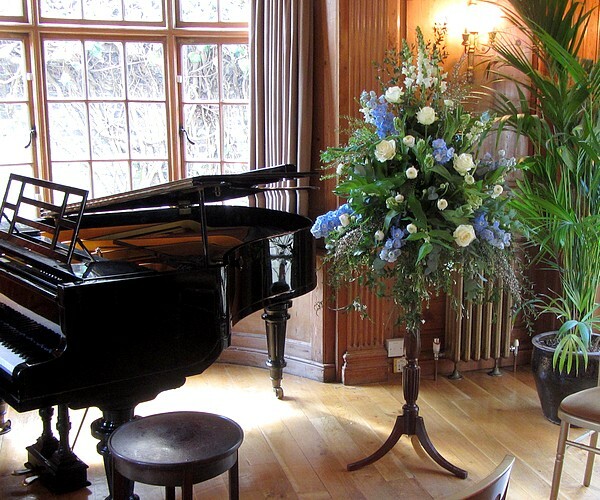 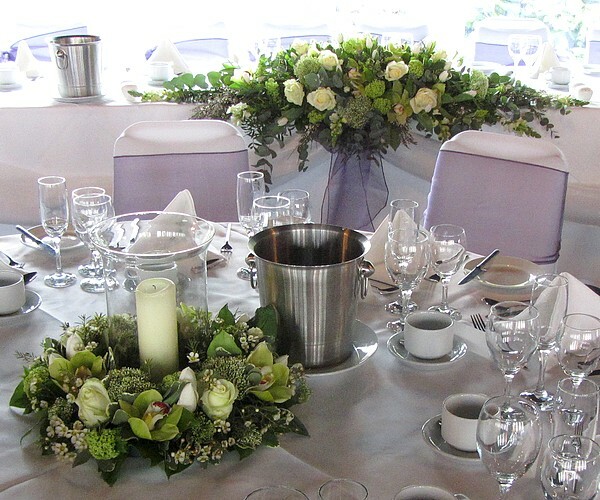 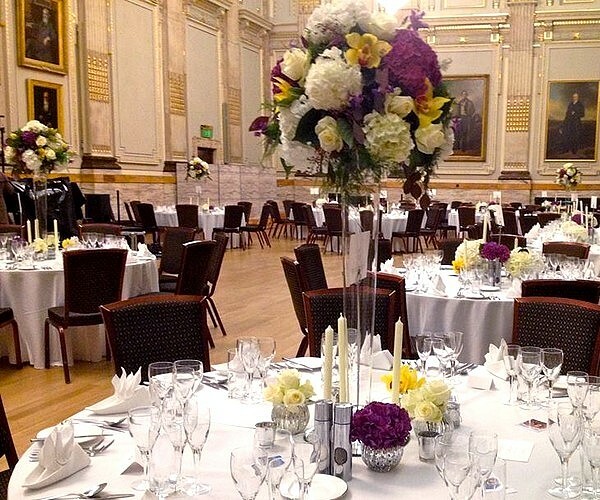 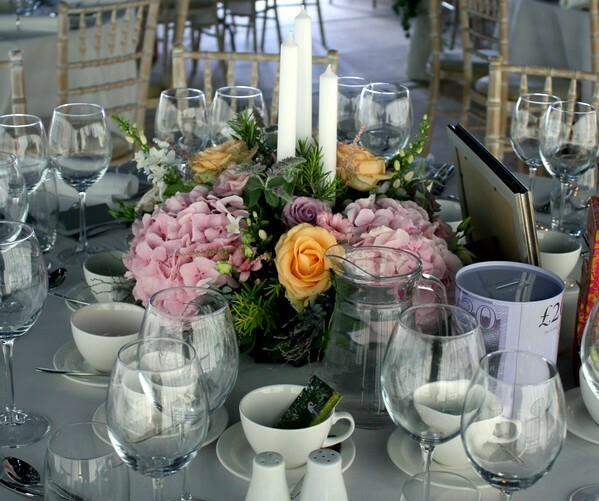 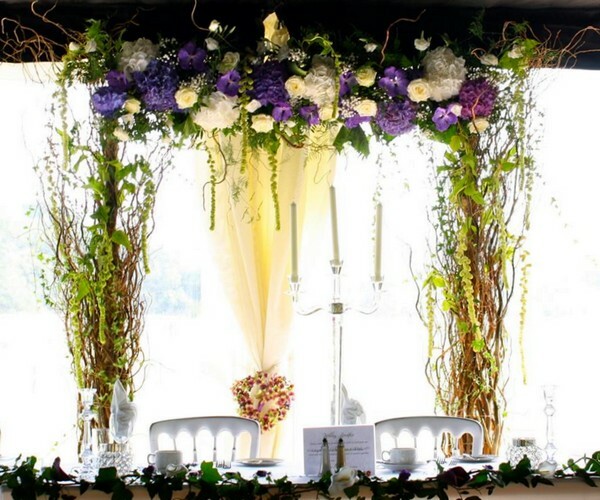 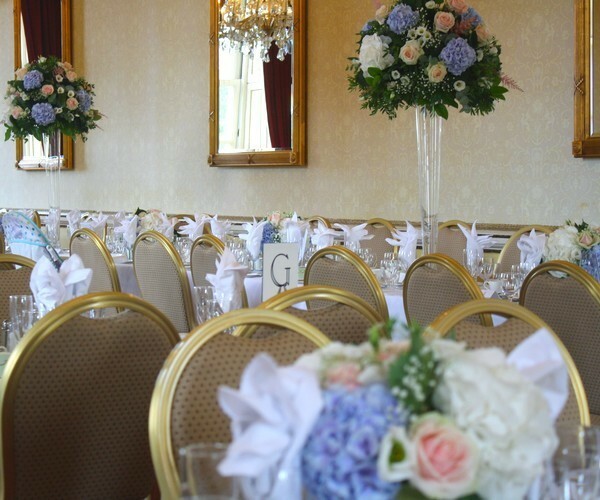 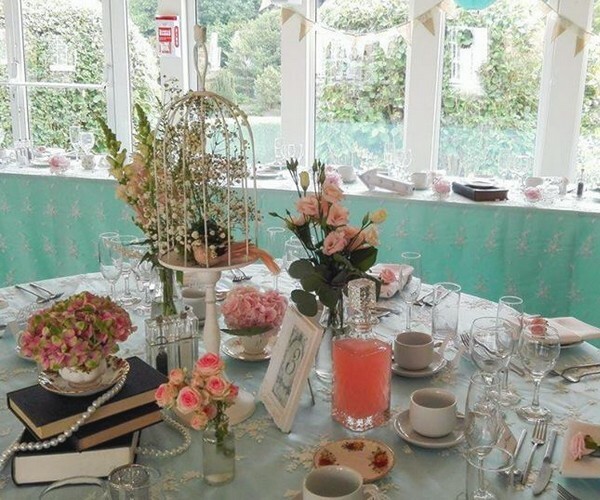 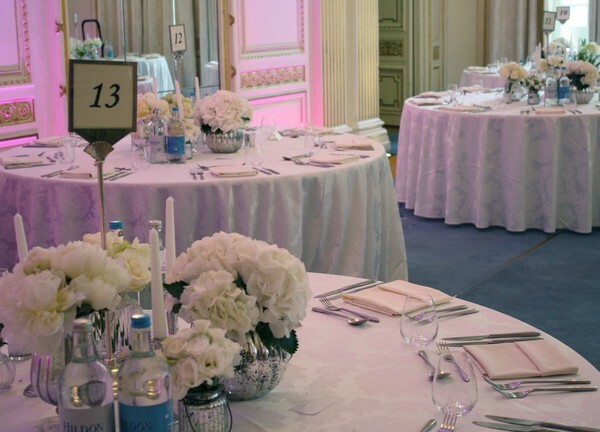 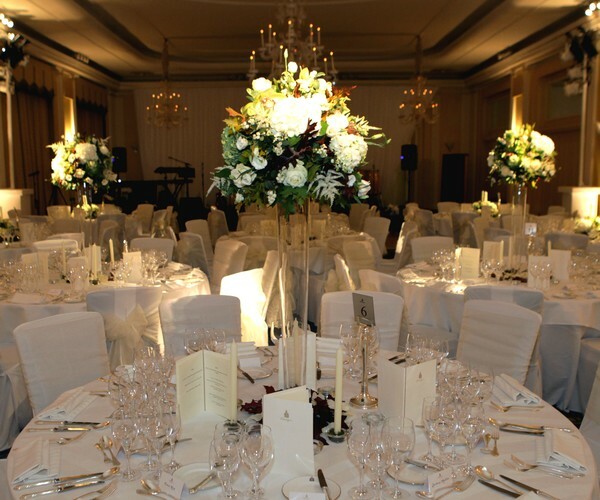 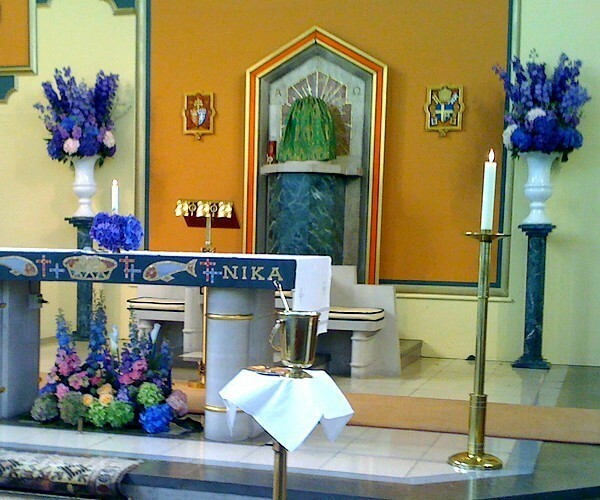 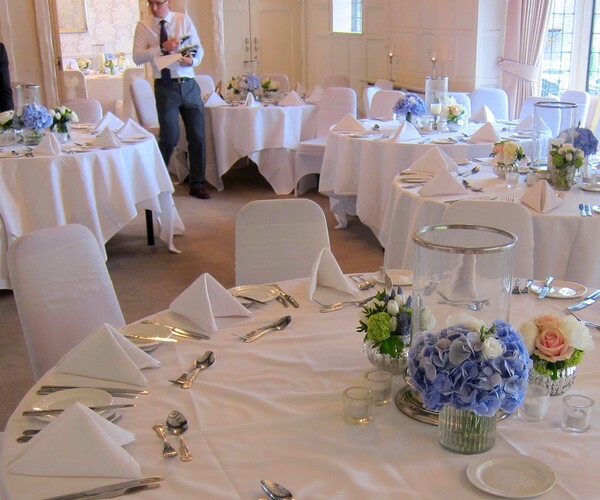 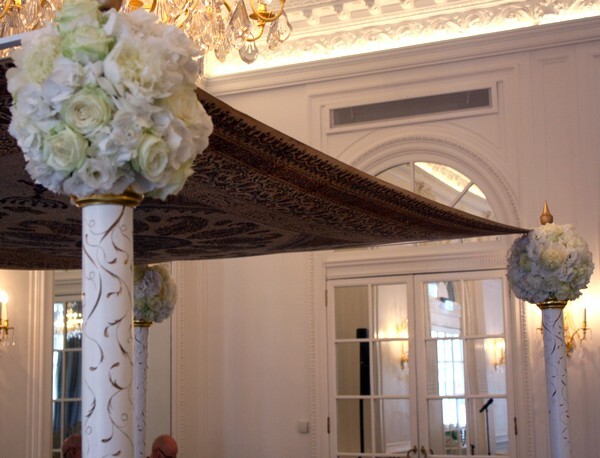 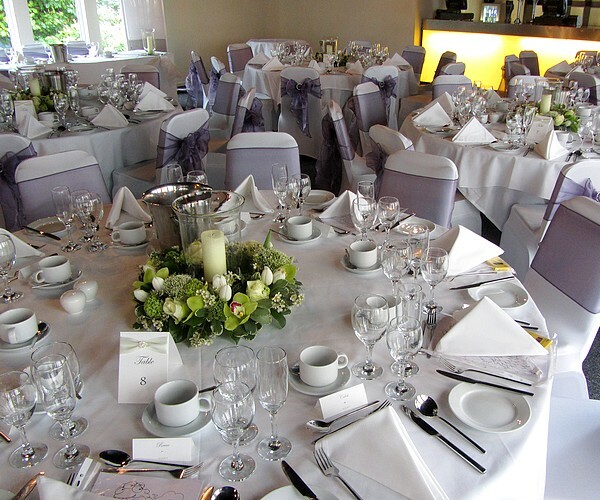 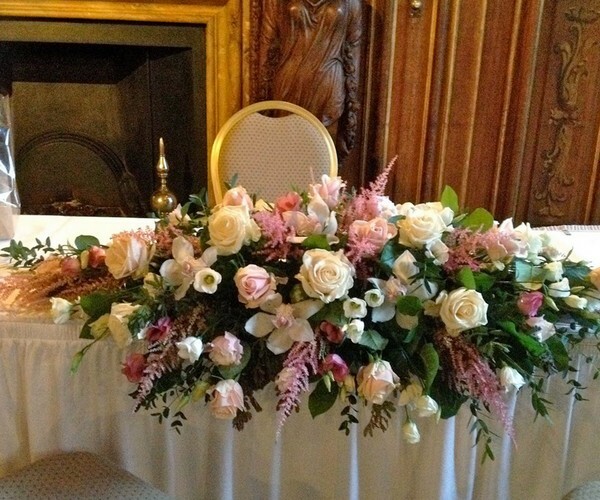 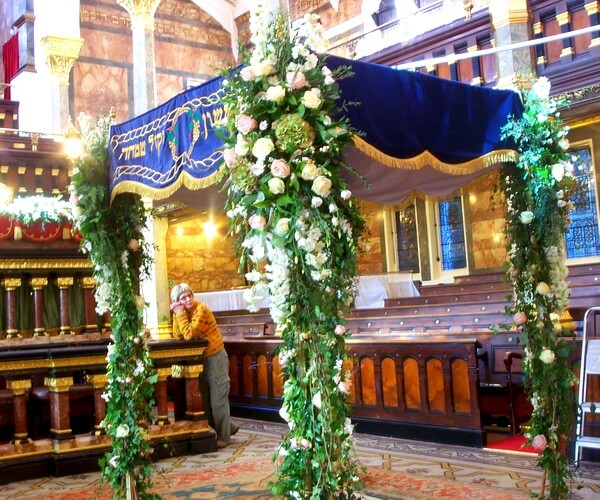 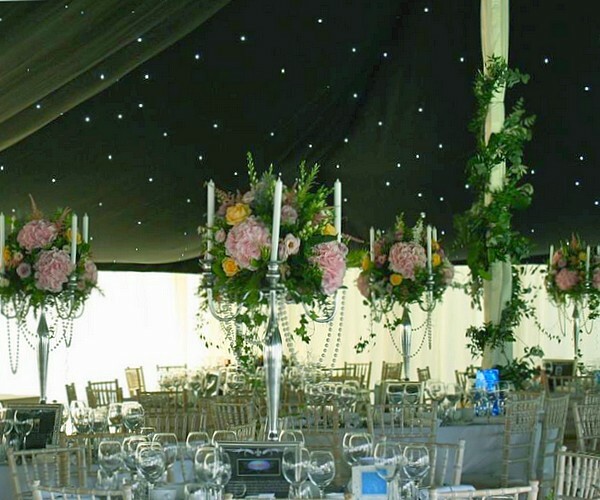 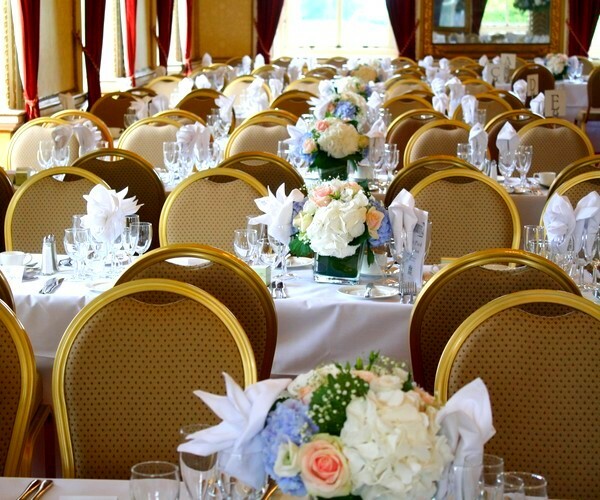 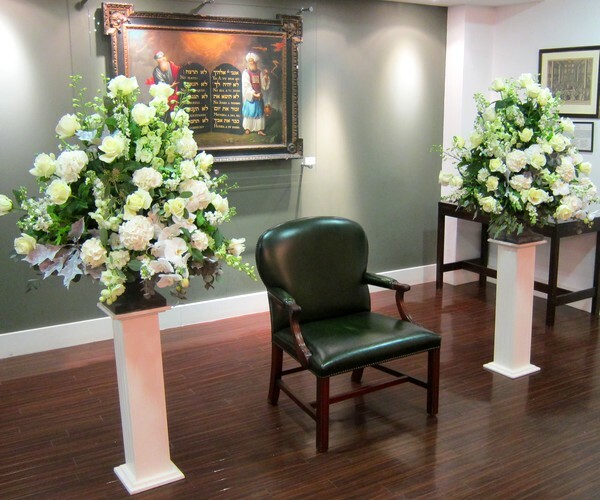 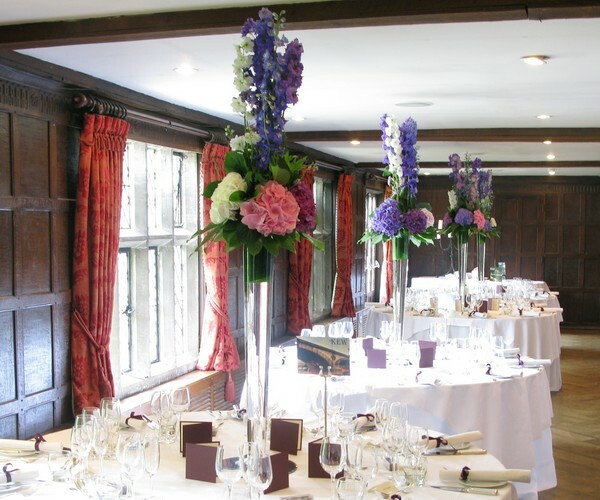 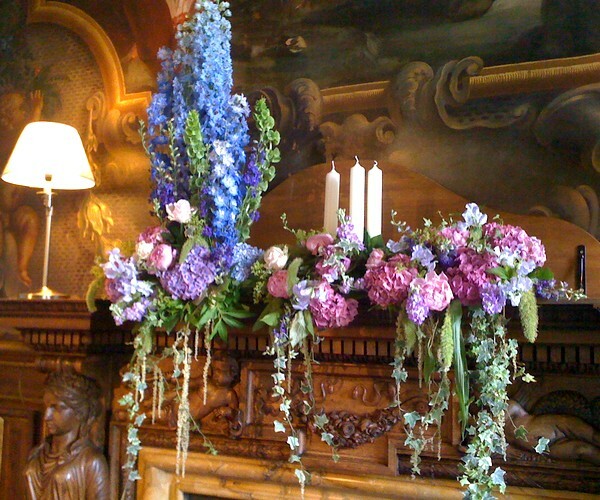 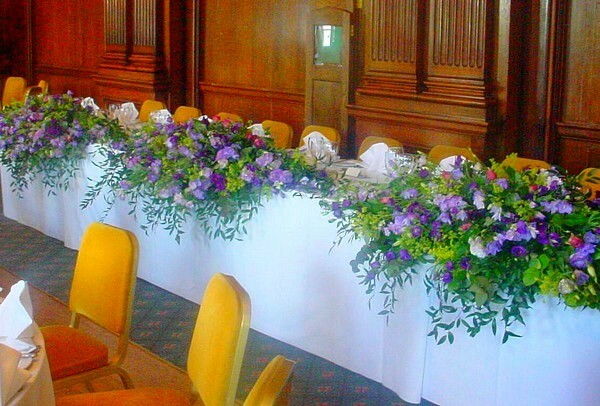 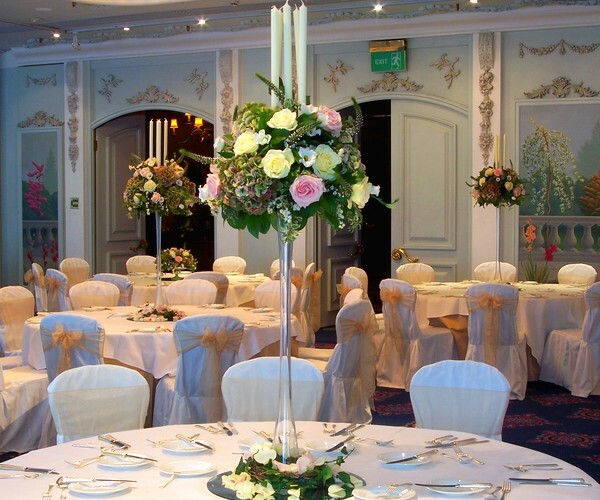 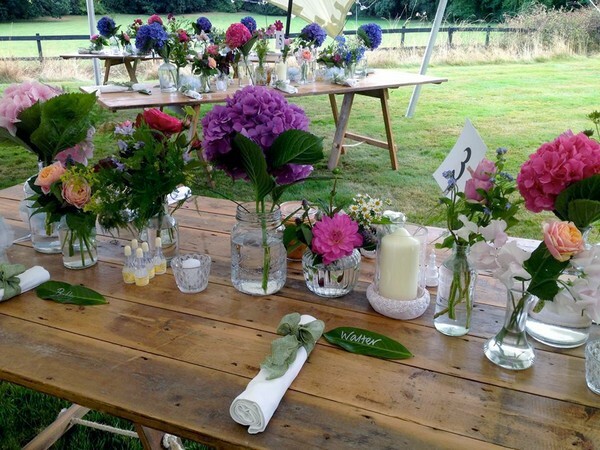 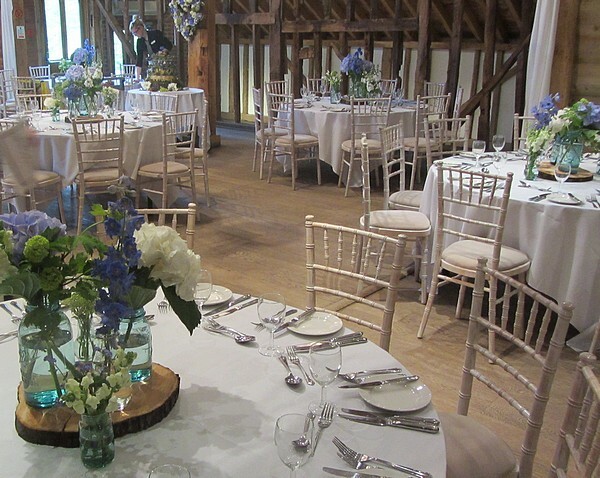 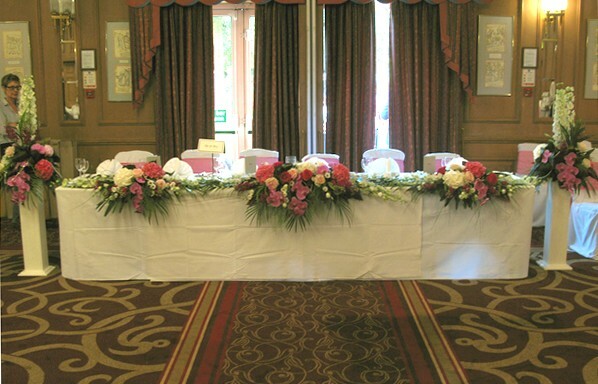 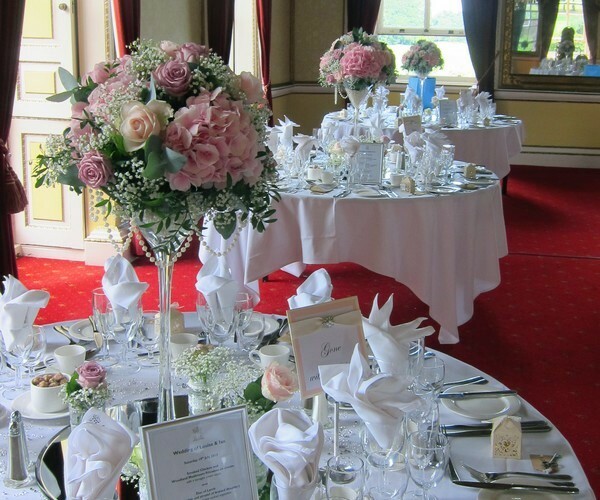 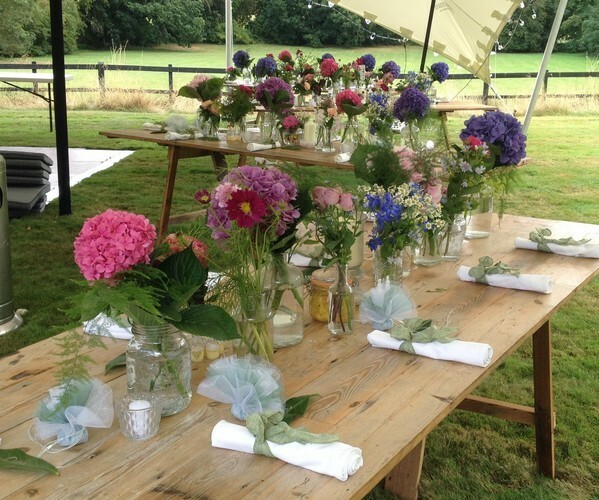 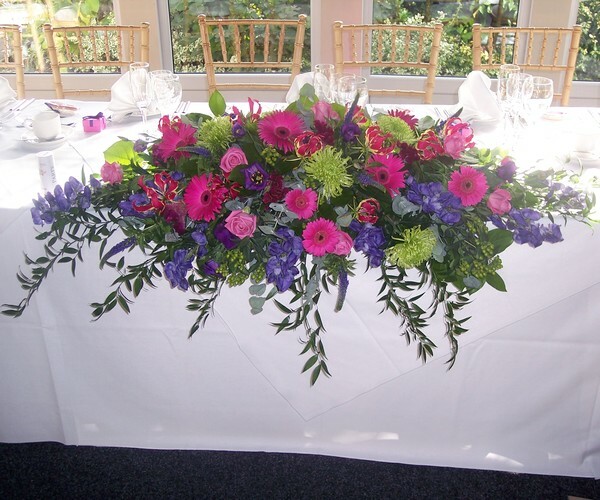 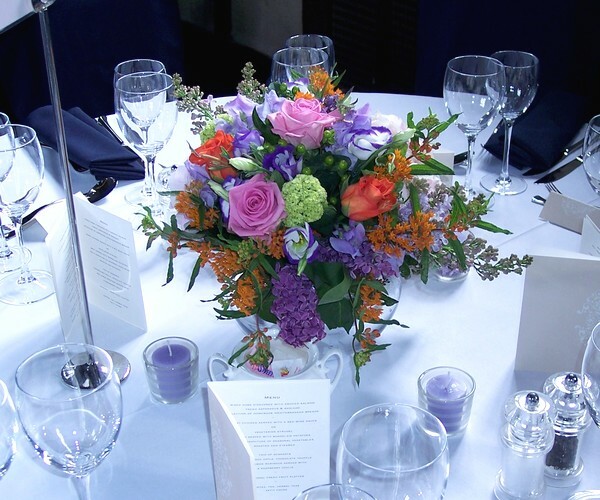 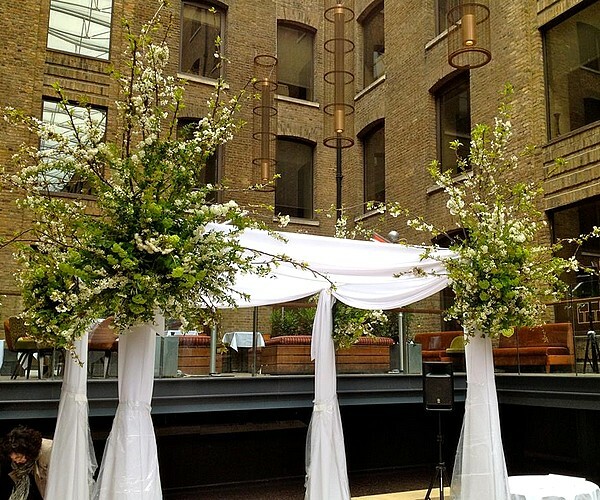 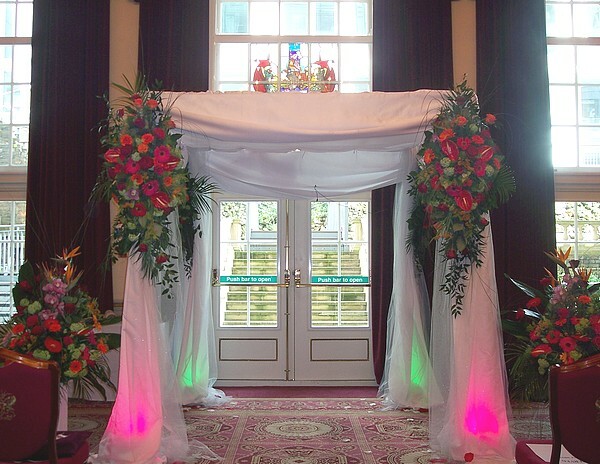 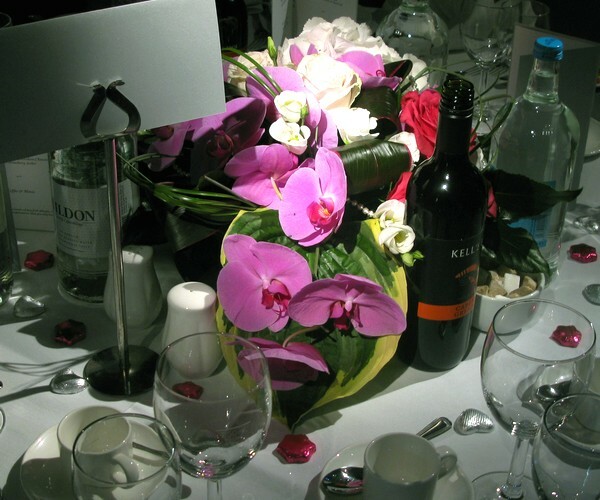 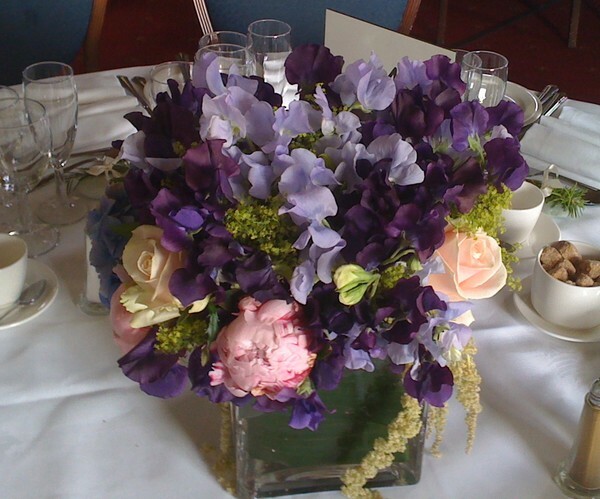 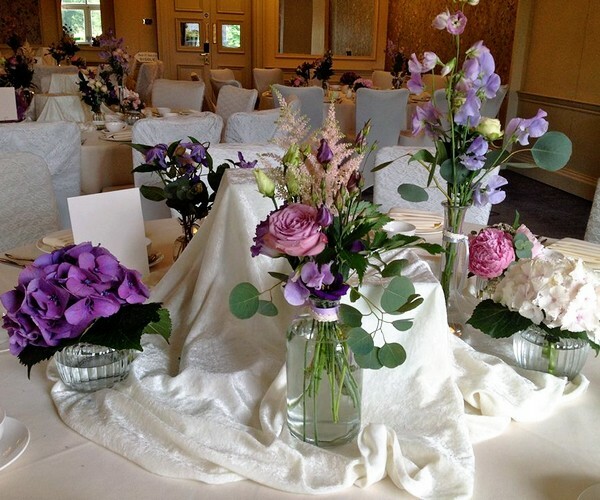 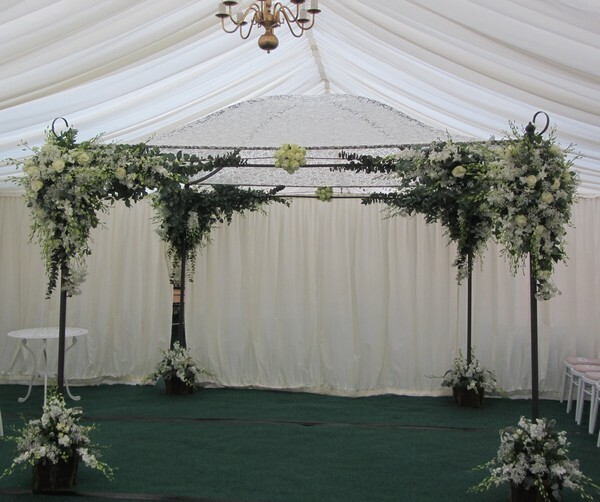 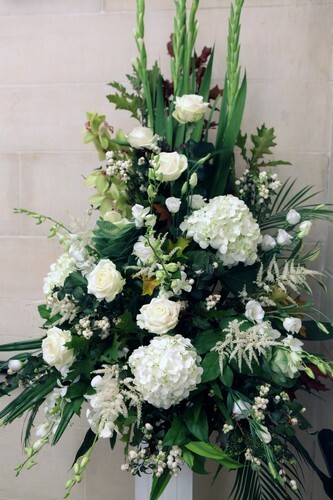 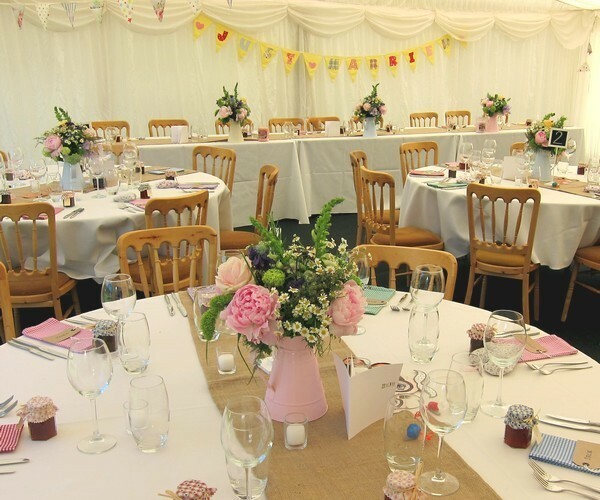 As with all our floristry, events are given our full and personal attention. 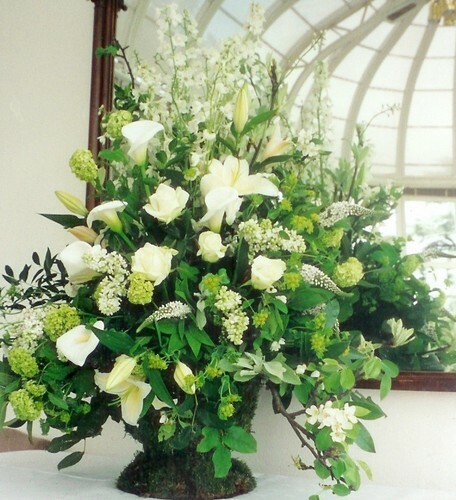 We DO NOT farm the work out to other florists. 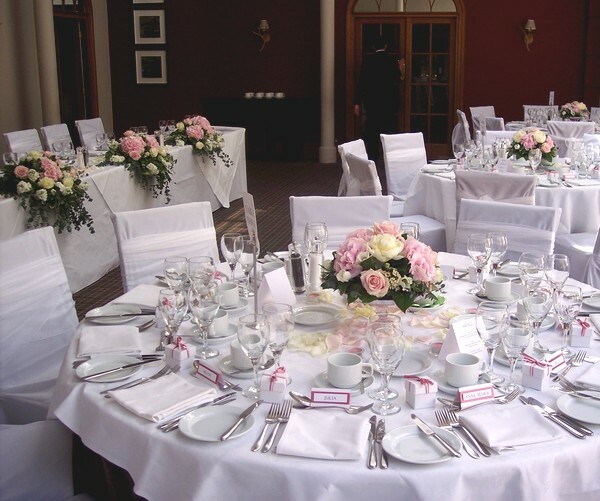 This may seem a rather old fashioned approach but from your original enquiry to the final check that everything is perfect at the venue we are there. 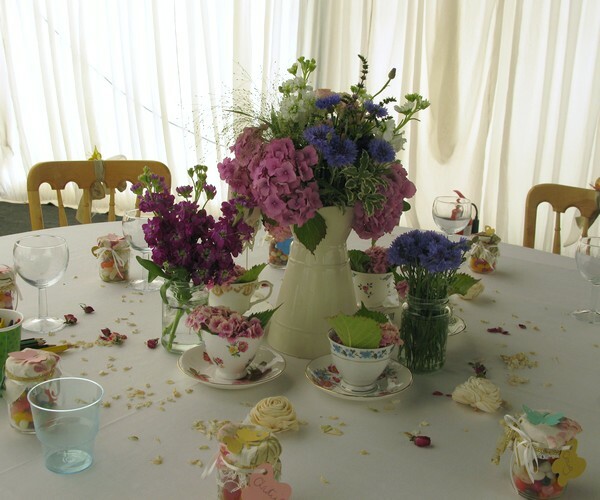 If you decide to use us for your party we will do our best to make the experience easy and enjoyable for you. 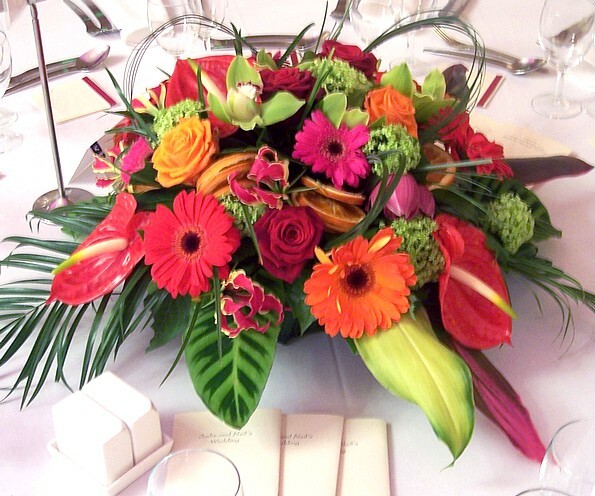 The quality of our work and flowers compares to any of the best West End florists but our prices don't! 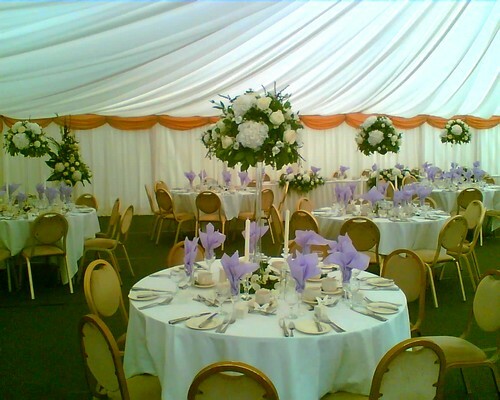 Our high standards represent good value for money. 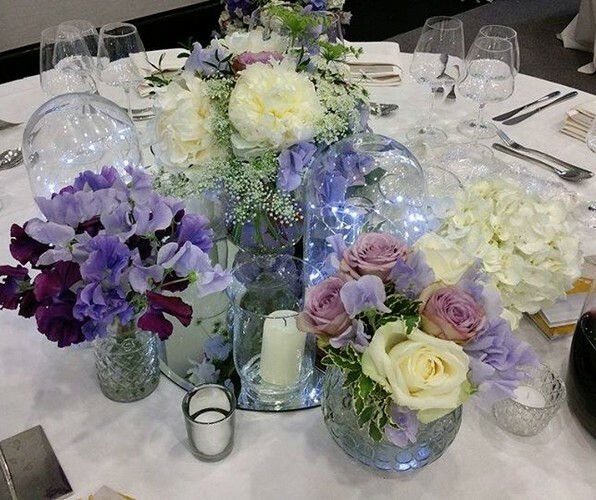 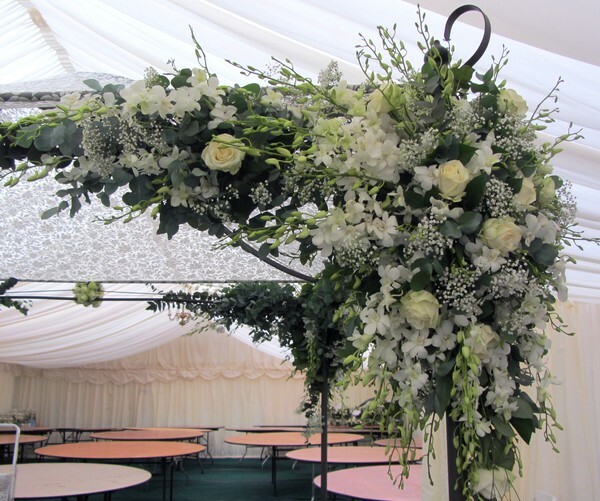 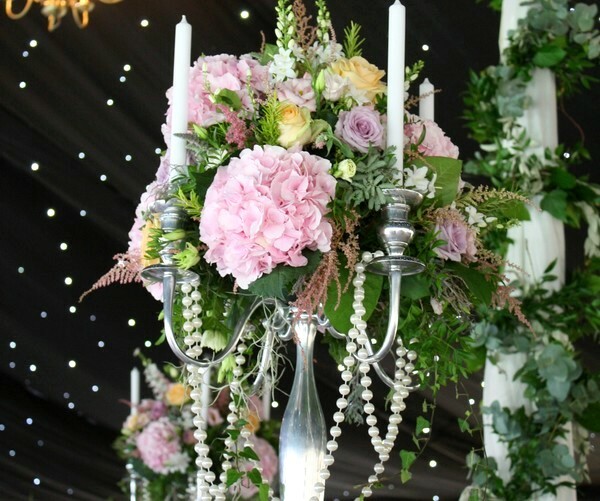 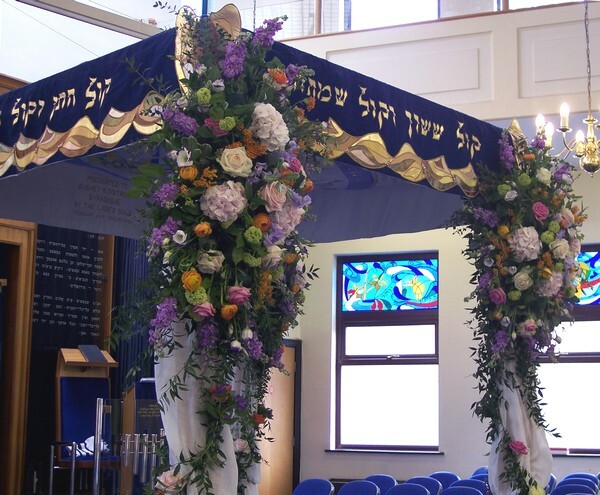 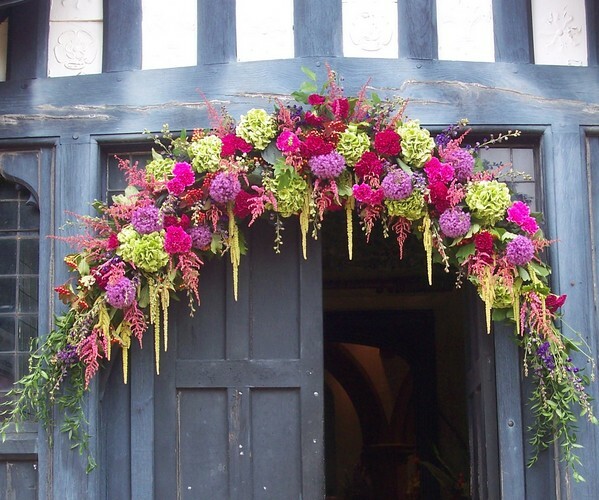 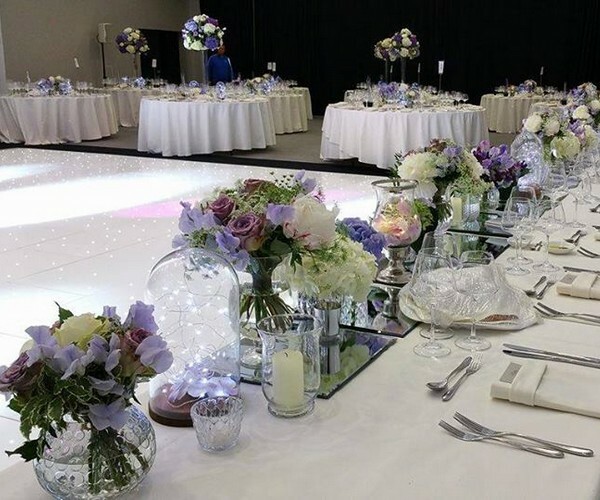 We do not attempt to compete with the 'knock 'em out, that will do shops' but take great pride and satisfaction in the events we design and supply the flowers for. 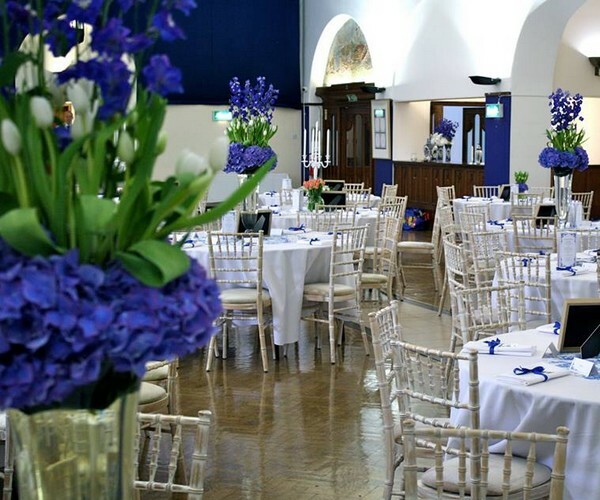 If you have a function coming-up please contact us by email or phone in the first instance, to confirm the date is free. 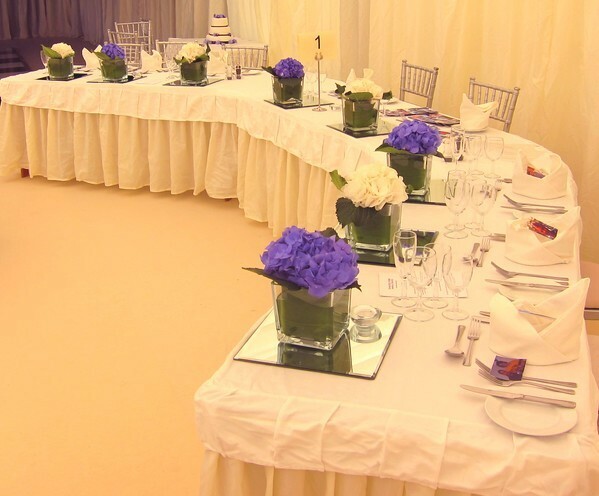 It is impossible to price a large event with out a detailed discussion regarding requirements. 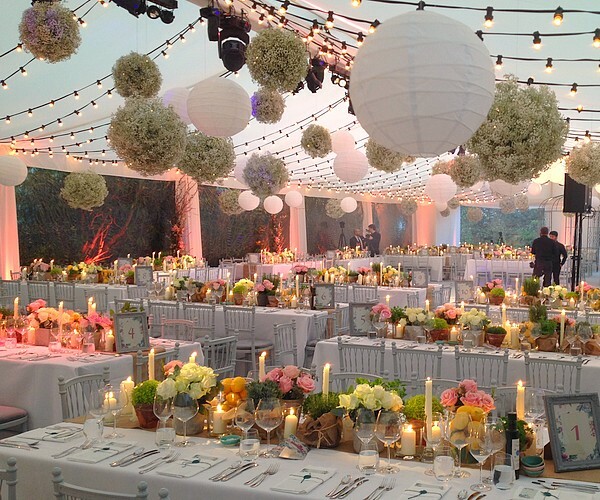 The client's wishes and our joint ideas combined with the layout of the venue amount to a function that is unique. 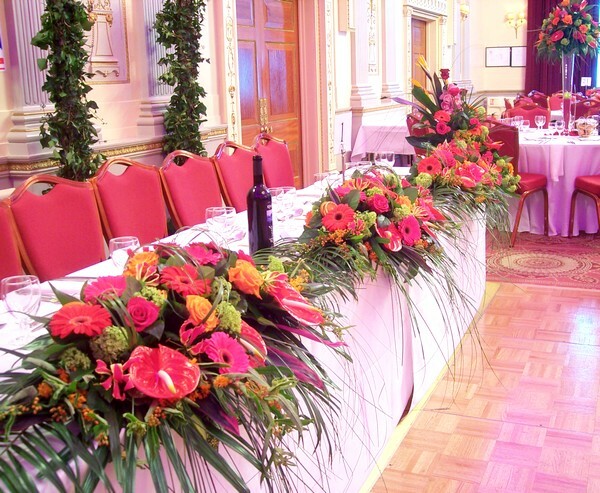 And that, with variety being the spice of live, is how we like it!